Missed Day One? Here’s a link. Looking for my thoughts and theories on the point to the long history lesson covered at the meeting. Here’s a link. 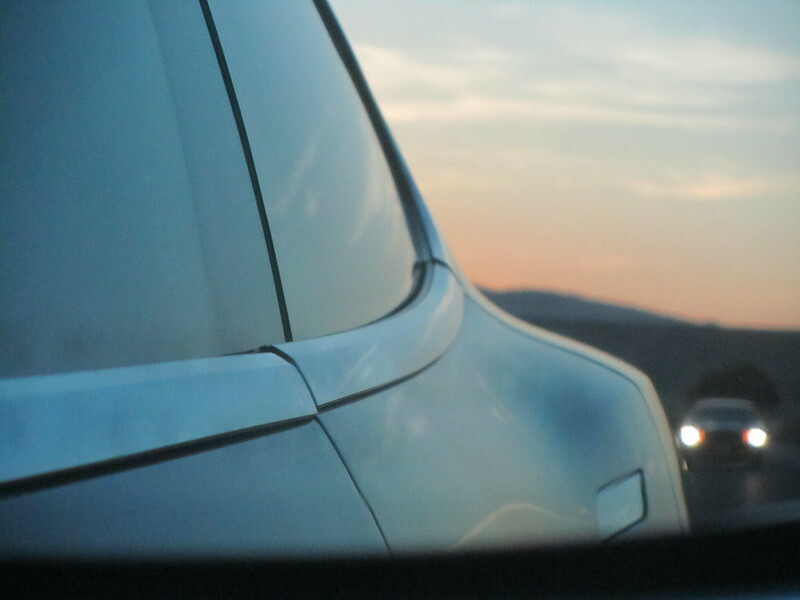 So, after a longer than normal drive with several hours in bumper to bumper traffic, we awoke from the second day of our trip refreshed and eager to get to the Tesla (NASDAQ: TSLA) annual meeting. As we’ve normally virtually attended these meetings in the past (here’s a link to the 2016 meeting,) we didn’t know what the processes and procedures were to attend. 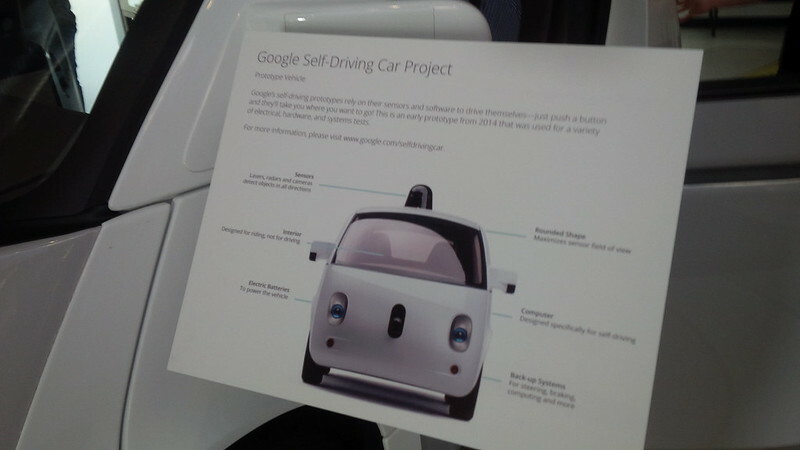 The meeting was scheduled on May 31, 2016, 2:00 PM Pacific, at the Computer History Museum located at 1401 N. Shoreline Blvd., Mountain View, CA 94043. 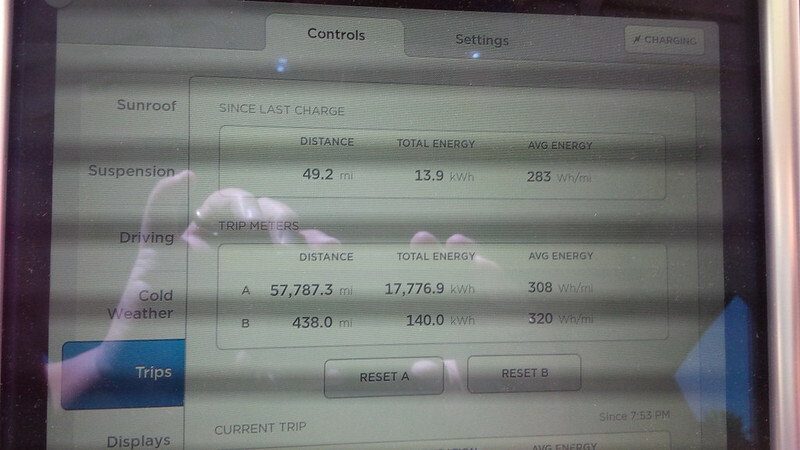 When we went checked in to the hotel on Day One, we had 202 miles of range left. More than enough to travel the few miles between our hotel and the meeting. Based on our start of day statistics, it looks like we only lost two miles overnight and the distance between Gilroy and our hotel was fairly close. We wanted to give ourselves the option of skipping Gilroy on the drive home. 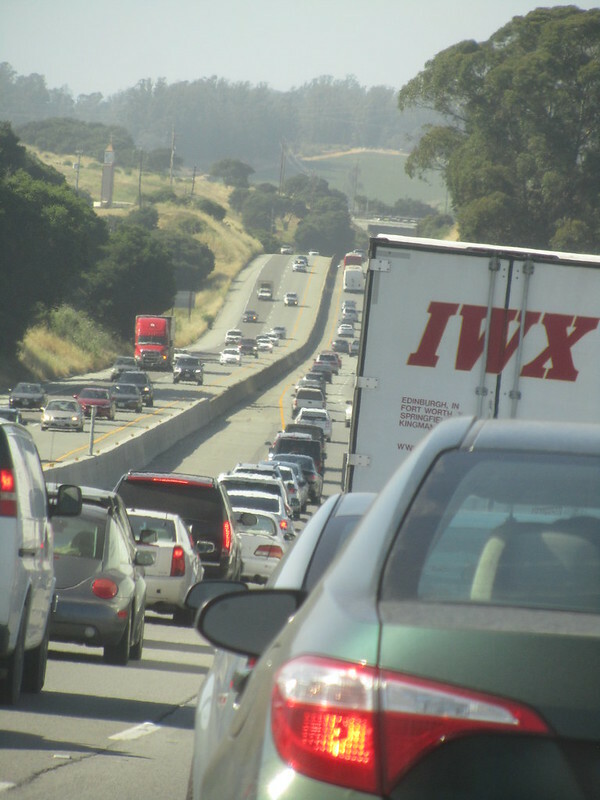 So we knew that we wanted to be “near maximum” when we leave on our drive back to Atascadero or to Harris Ranch as we haven’t decided our Southbound route yet. If we were to leave the Annual Meeting fairly early in the day, we contemplated the same route that we drove Northbound. However, at this point in our journey, we didn’t know what we were in for at the annual meeting. We had originally planned on getting to the Computer History Museum for the meeting by 1pm. 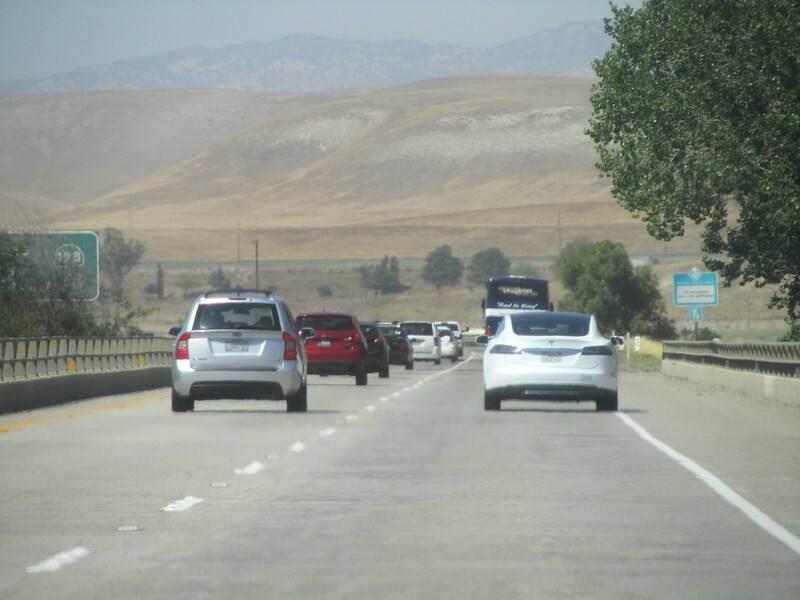 However, our fellow Tesla Owners Club of Orange County (OC Tesla (meetup group and our group page on TMC) members that we caught up with at Gilroy the previous day provided us with some hints as they’ve been driving to the meetings for years. We had planned to meet up with them in line for the meeting, and sit with them inside. They were planning on charging and then having an early lunch at an Italian place nearby, the same restaurant that folks at TMC planned on having a meetup after the meeting. We played it by ear and arrived at a fairly empty Mountain View Supercharger at the Computer History Museum, so we plugged in to give us maximum options on our route after the meeting. 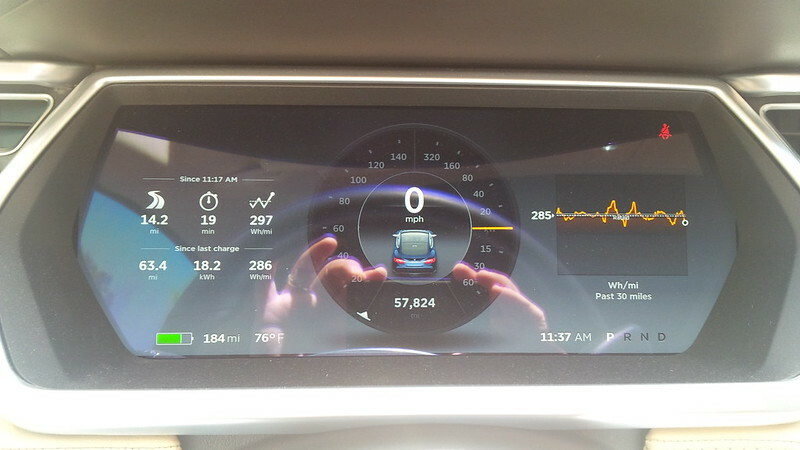 We visited the Mountain View Supercharger for the first time during our insane round trip 22 hour drive to Silicon Valley and back. 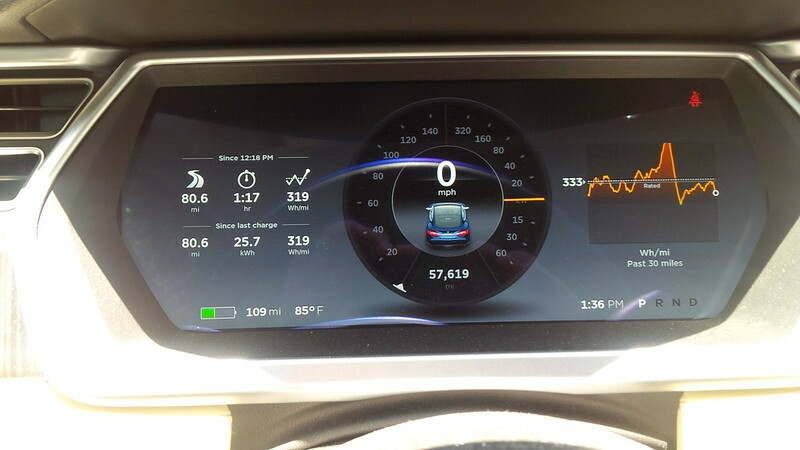 This same supercharger was launched at the 2015 Annual Meeting and what made it significant was this was the first liquid cooled supercharger and had the thinner cables. 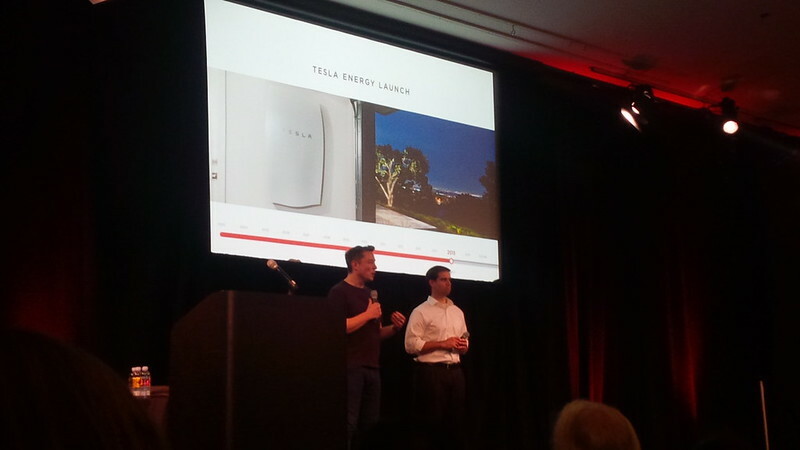 The first two pictures are of the supercharger at Mountain View. and these are the standard ones at Harris Ranch that I used to compare them to. 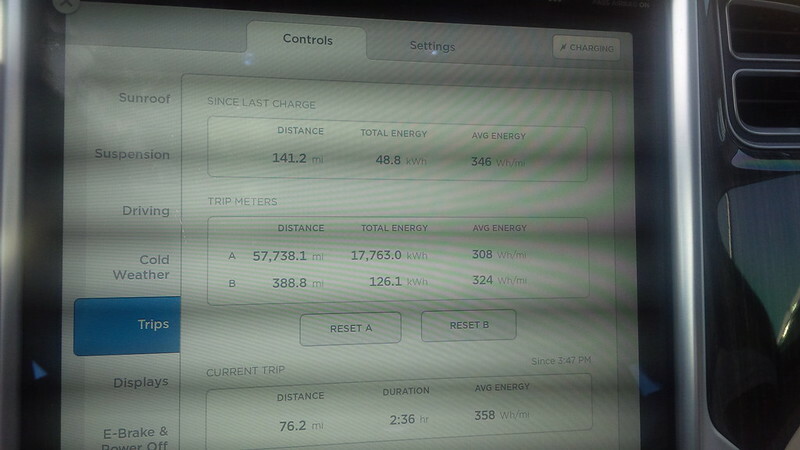 I took pictures of our statistics from the hotel to Mountain View Supercharger. We went to line up for the meeting and joined our friends from the OC Tesla Club around 12:15 PM for the 2:00 PM meeting. I estimated our place in line to be 30-40. Since our wait for the Model 3 was in the slowest line ever and took five hours, waiting almost two hours for the start of the annual meeting would be a piece of cake. We had good company and we spent the time chatting about Tesla and other things with our friends. In the parking lot directly in front of the line were two Teslas with the current design aesthetic. I was hoping for a Model 3 to be at the meeting, but none were there. 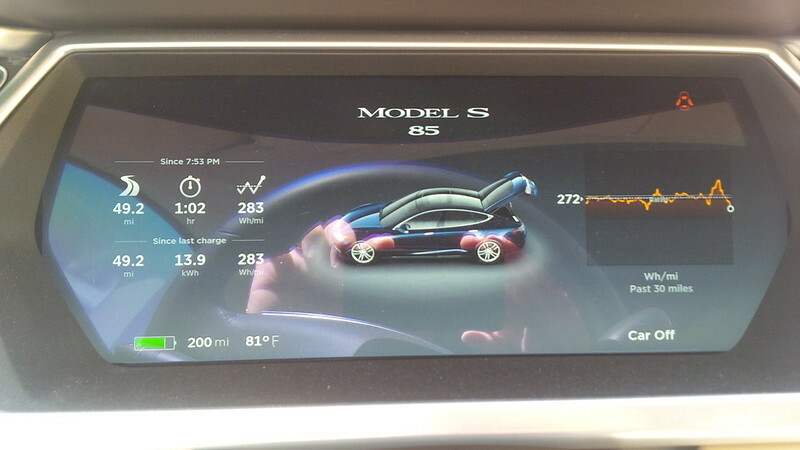 Still, the new fascia on the Model S does grow on me. I don’t remember what time they had us go into the building, but I suspect it was around 1:00 PM, if not 1:15 PM. I took the photo of the display with the welcome to Tesla Annual Meeting around 1:25 PM and that’s after we’ve been in for a little while. The process of checking in was quite orderly. The Tesla employees checking in attendees required proof of Stock ownership for the relevant period, so if one had the proxy to vote their shares with them and/or holdings statement for the shares for the relevant period then they let you in. We both had stamps to get into the shareholder room and proceeded there. We took a seat on the left side four rows from the front. The “best seats” up front and center was reserved for the board members, but the rest of the room was pretty much “first come first serve”. We were glad to get there with early with our friends because the room filled up quickly and we had a great view of the meeting. I grabbed a physical copy of the Annual Report and ballots so that we can vote our holdings. One of the things I don’t normally carry with me is a pen. Luckily my wife carries one in her purse because voting at the Annual Meeting actually requires a pen to fill out the ballot. I know, so wasteful with all the paper, but give us a break. It’s how it’s done. 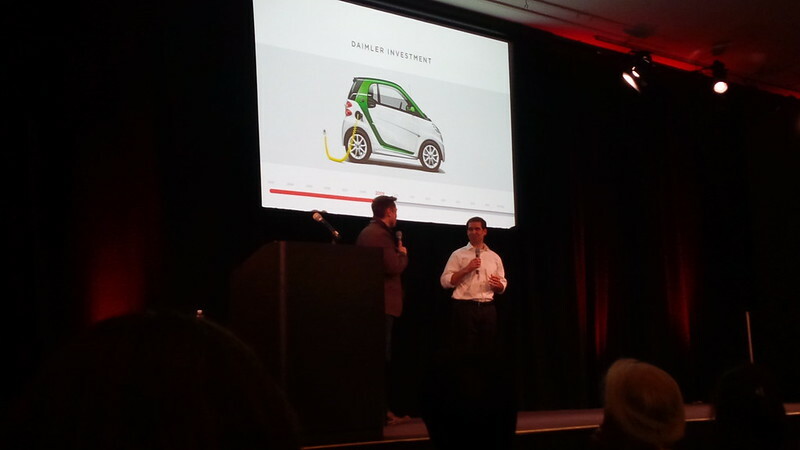 Covering Daimler’s investment and life raft to Tesla. Getting all the long term talent to join them on stage. 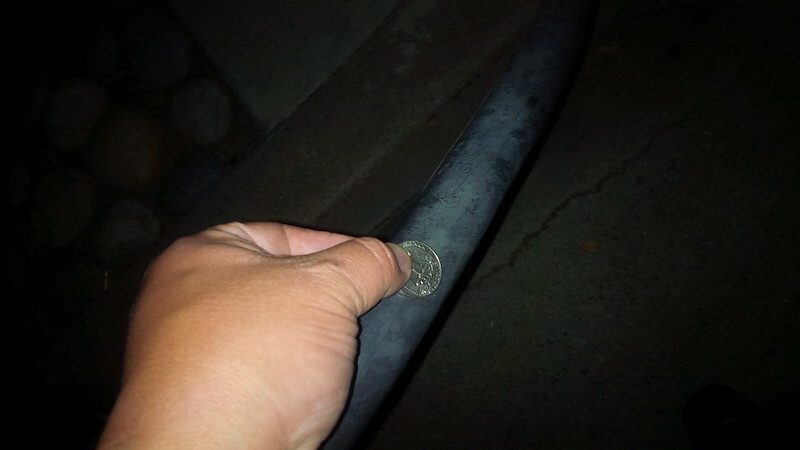 I have a few more in my theories on the history lesson post or on my flickr stream. I stopped taking pictures during the Q&A period. It was a long meeting and that really provided us with clarity on our route and plan. We originally skipped lunch because we had breakfast at the hotel and were not ready for an early lunch. We were tempted to try to join the TMC group, but we weren’t done with the meeting until early dinner time and we needed to head South. 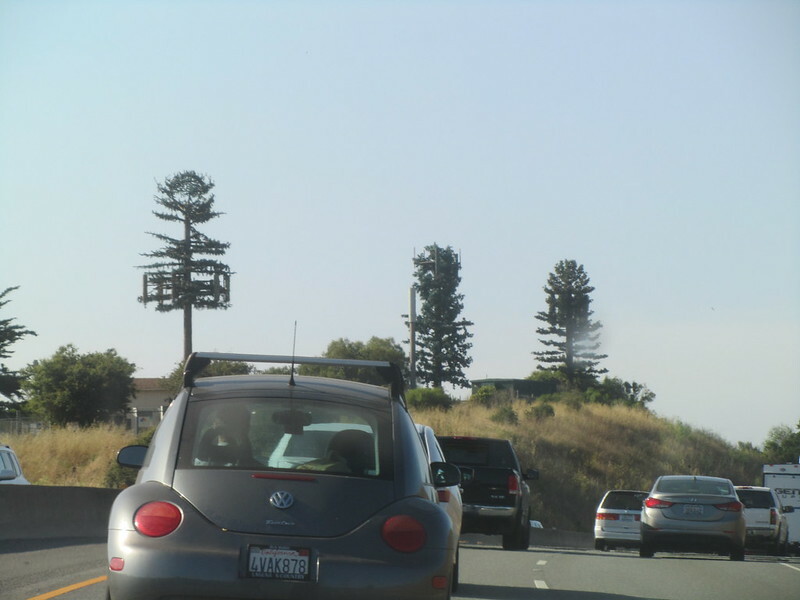 So, we ended up just going on the road and determined to take the I-5 route. 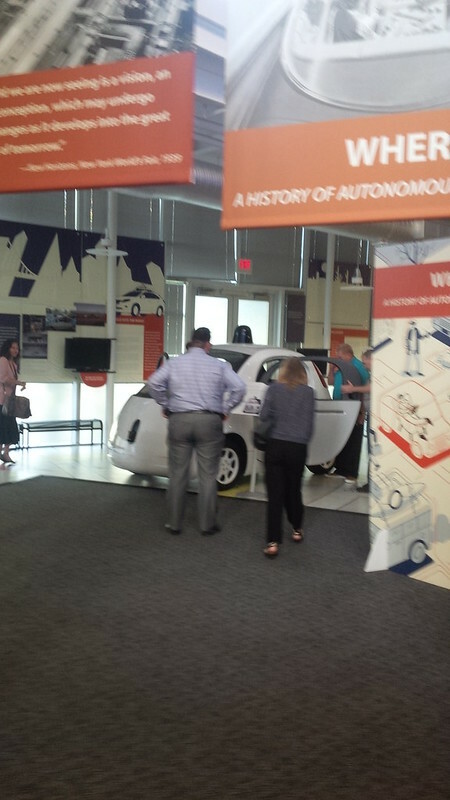 Before we exited the building, we did stop by to check out a display on the Google Autonomous Car. So, we decided to roll-out and see if we can make it to Harris Ranch for dinner. However, we hit a lot of traffic and I couldn’t make it all the way to Harris Ranch and proposed we stop off at one of at In-N-Out instead. 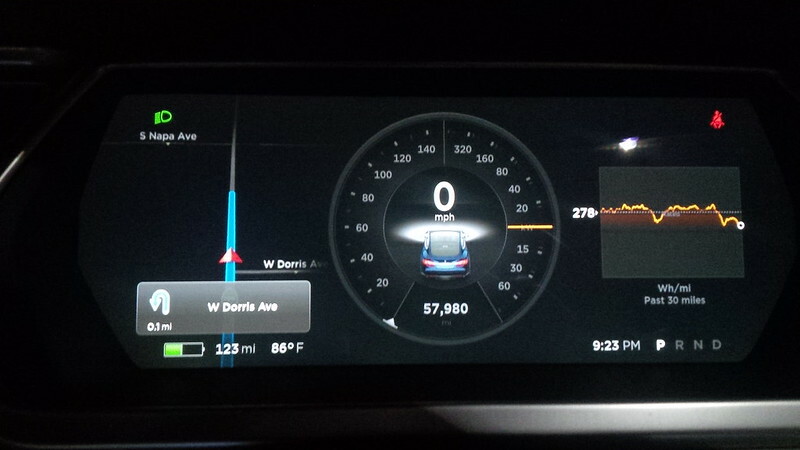 Luckily enough, there’s one just around the corner from the Gilroy Supercharger. 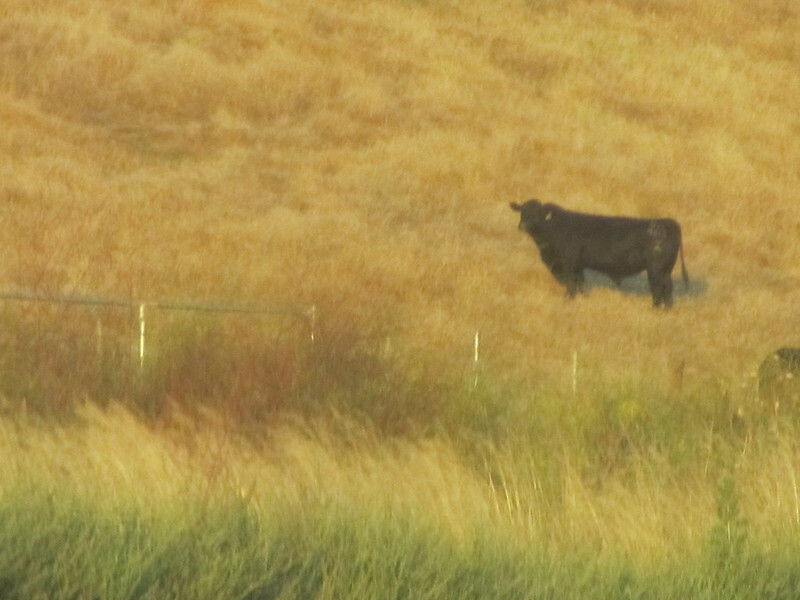 Even though we could’ve skipped Gilroy to make it to Harris Ranch, we decided to plug in while we had dinner. 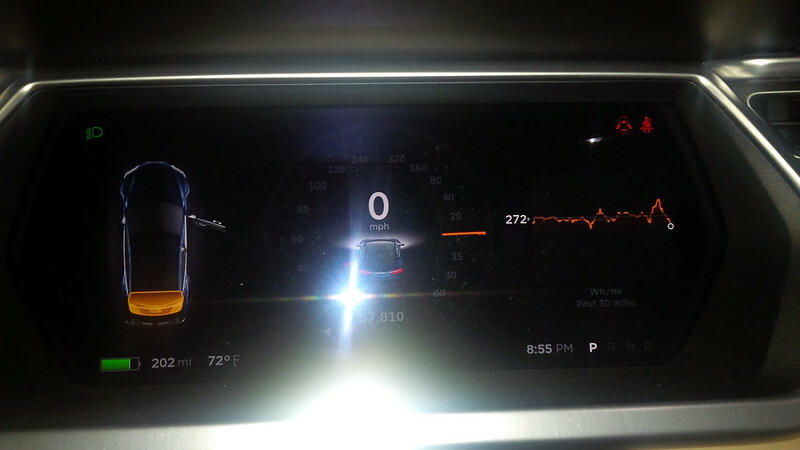 The thing about traffic is it’s very efficient for the consumption of energy as we averaged 279 Wh/mile, lately it’s been the passenger’s needs that ends up motivating usto stop on these drives. This time, it was for hunger. 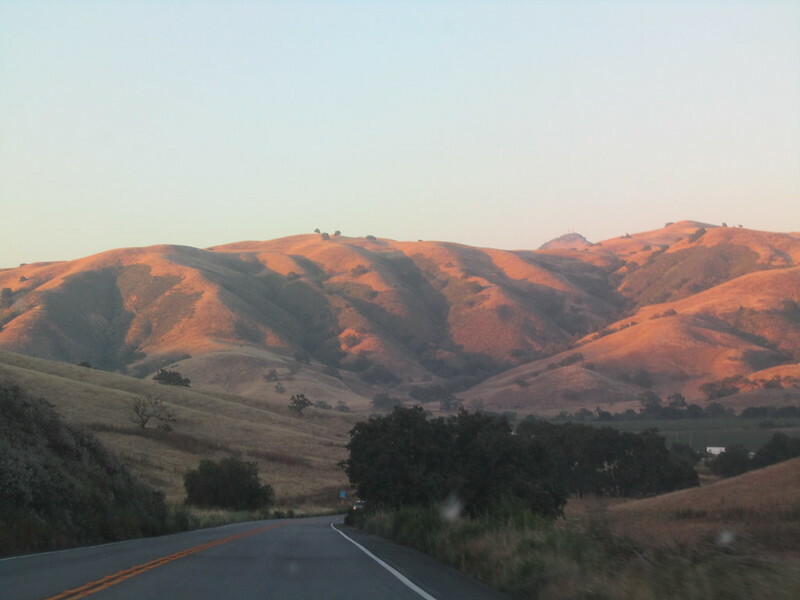 It was interesting to do this drive between Gilroy and Harris Ranch after finally getting some rains this past year. 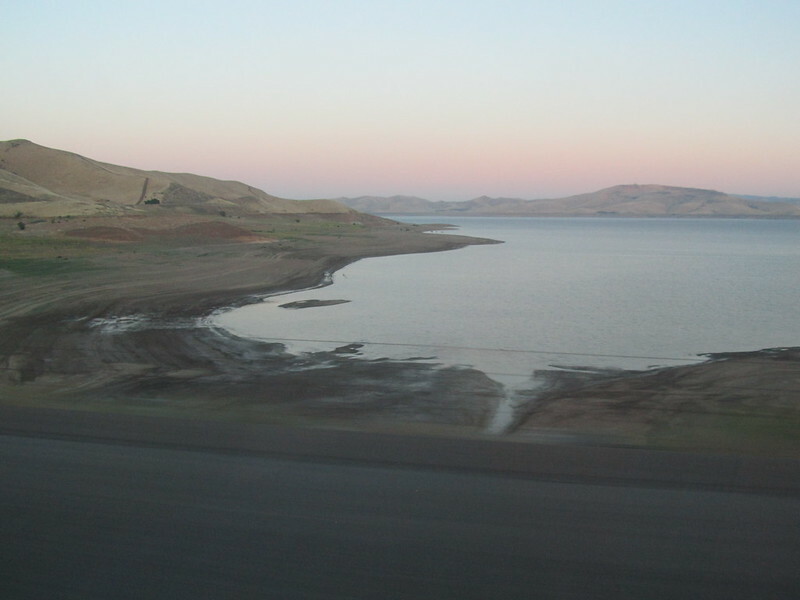 However, the effects of the drought are still evident. 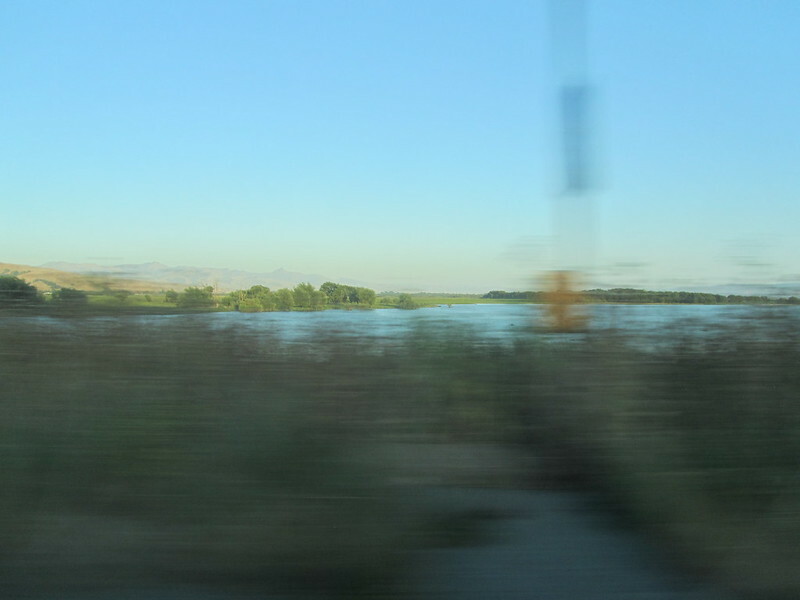 This little duck pond by the side of the road in Gilroy showed up on the GPS last year and was dry. And it looks like it’s back now. I wonder if that pond will be there throughout the summer, or whether it will evaporate again. We left a lot later than we thought so much of the drive for day two will be in darkness, but we’ll at least have light for some of the more interesting parts of the I-5 route. 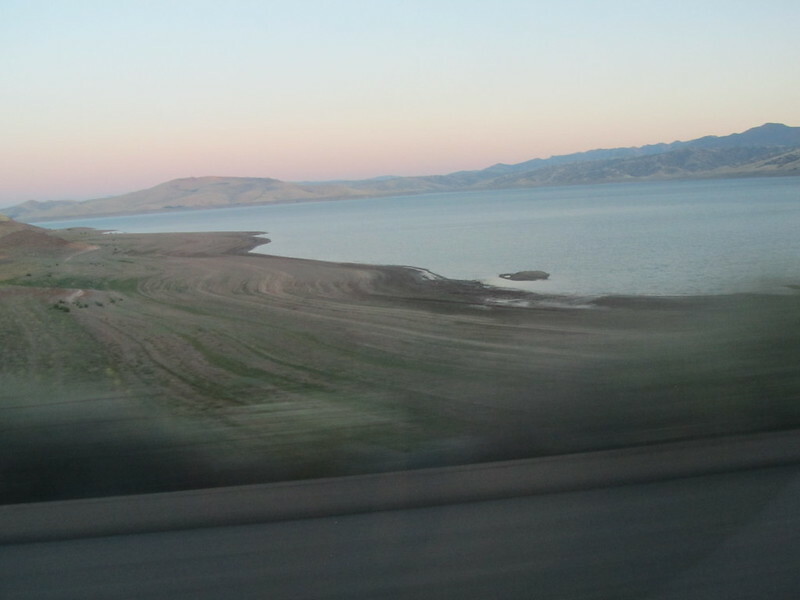 We got to the area of the reservoir between Gilroy and I-5 at dusk, so my wife tried to take as many pictures as she can so we can see if it received strong relief from the rains this past winter or not. I think it looks better, but not much relief. 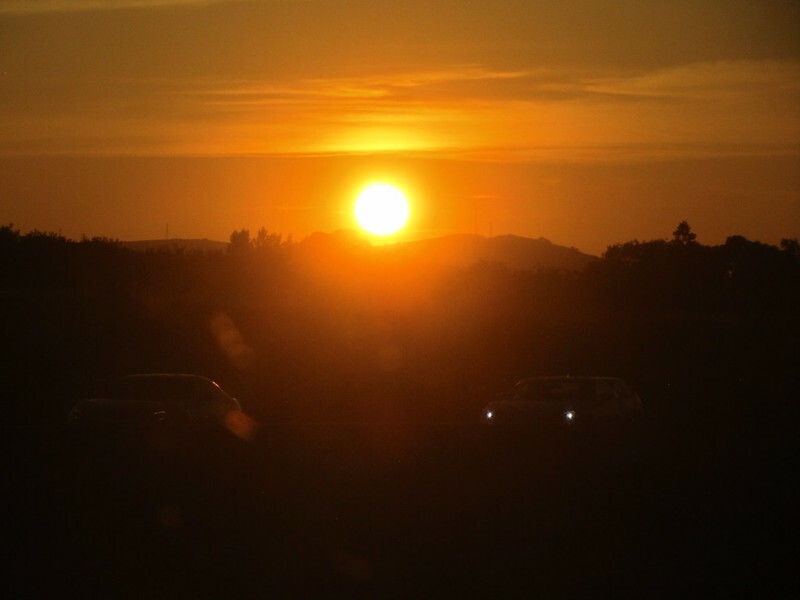 And just before we reached Interstate 5, we descend upon darkness. 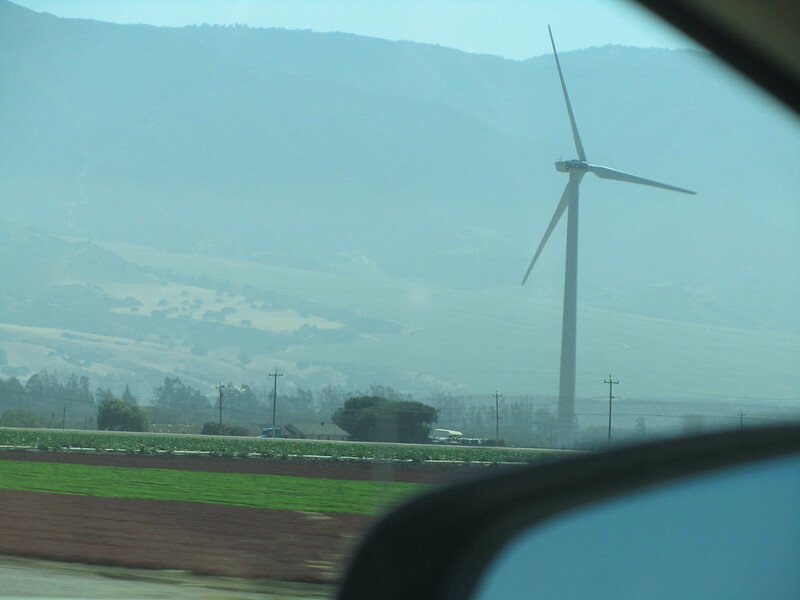 Since we filled up at Gilroy, we had enough charge to drive all the way to Tejon Ranch and skip Harris Ranch and Buttonwillow to make it all the way home. 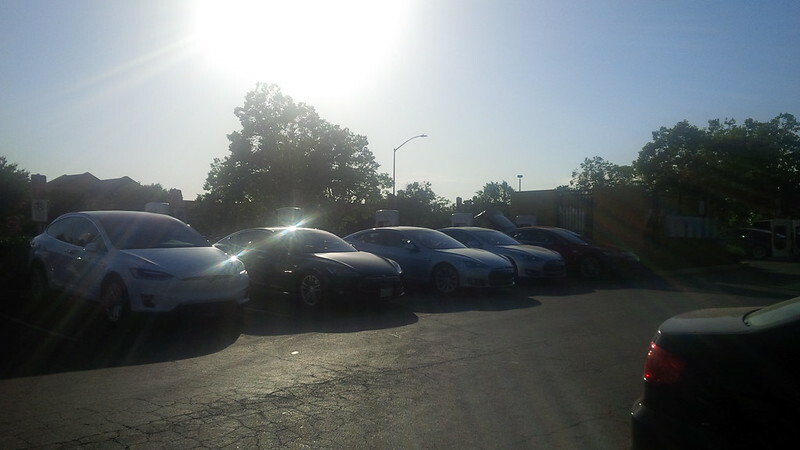 However, we’ve never been to the Buttonwillow Supercharger and I wanted to check those out. 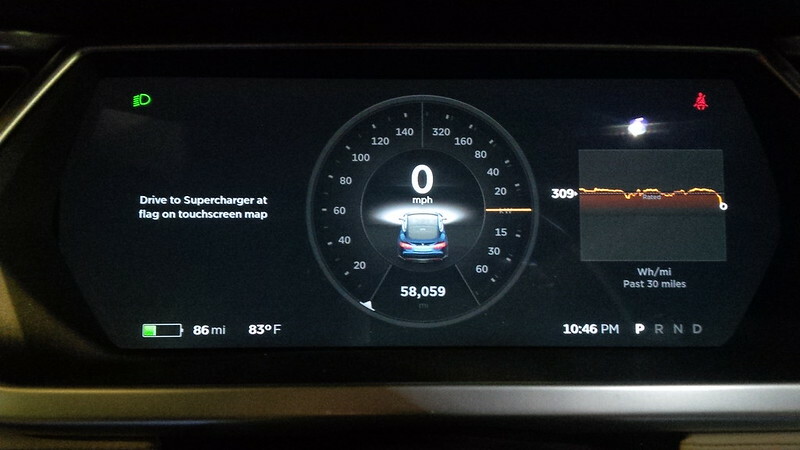 That’s what the navigation is saying when you end up at a supercharger that you can skip. 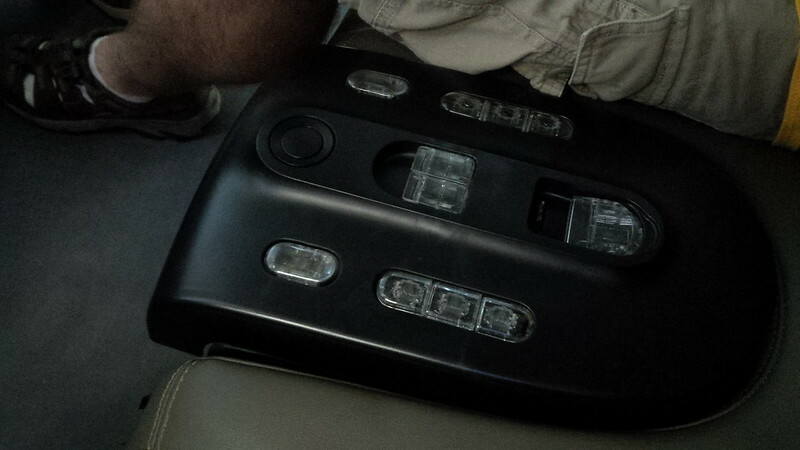 We had to stop, ’cause of other needs, and it’s not because the car needed a charge. The temporary superchargers have been removed and replaced by augmented by more superchargers. 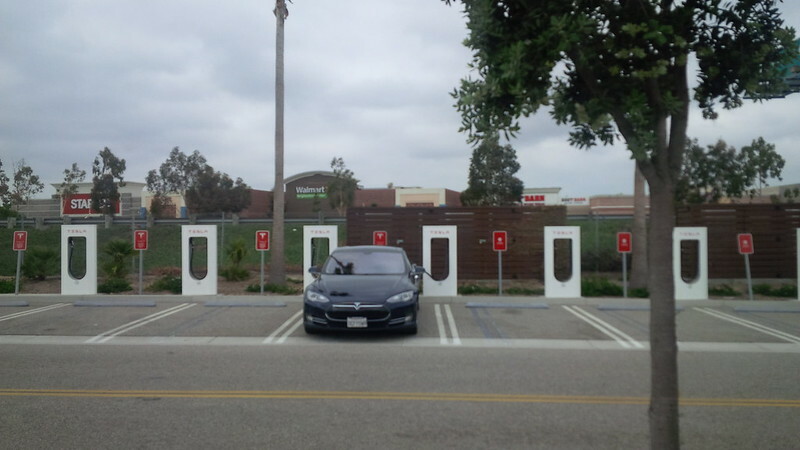 Interestingly enough, there are 13 superchargers at Harris Ranch. Which means, folks should try to grab 7A as it is not paired with any other stall. It was pretty empty when we got there, so I skipped that choice. 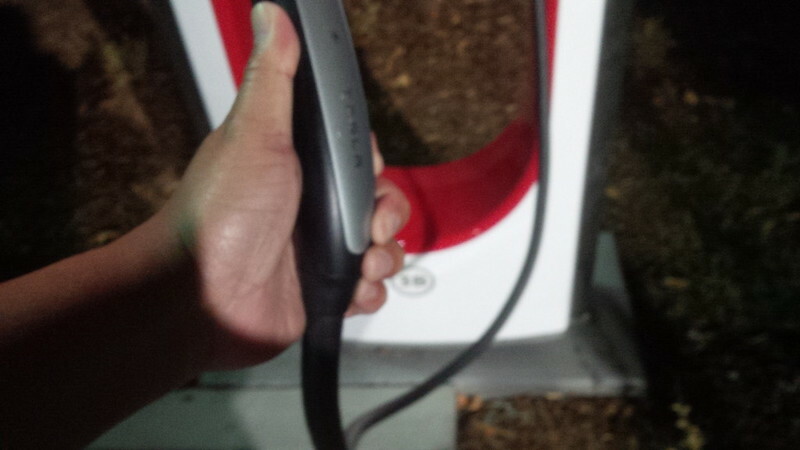 I was able to capture a pretty cool dark red glow of Tesla Superchargers in the darkness. If you couldn’t tell from the panoramic, stall 7A (#13) is at the far right of the picture, and we’re parked at stall 6A (#11). 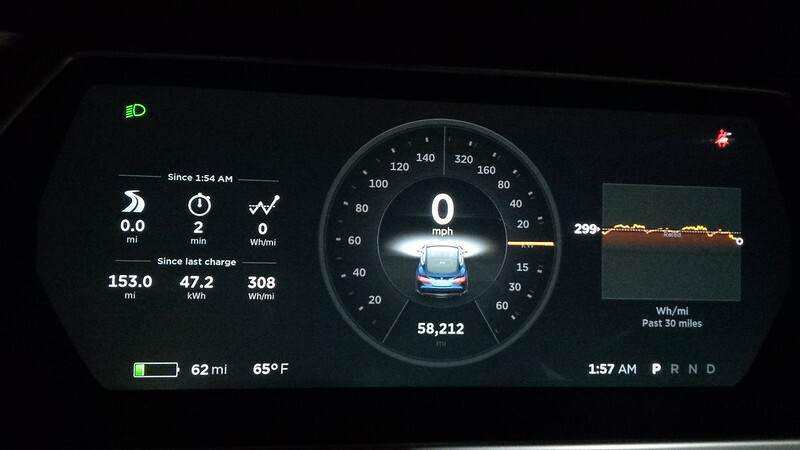 With the travelers needs taken care off, we took our leave and proceeded toward Buttonwillow supercharger. Granted we had enough energy to skip that and get to Tejon Ranch (40 miles further) comfortably, I wanted to see Buttonwillow and “add a supercharger” to my visited list. 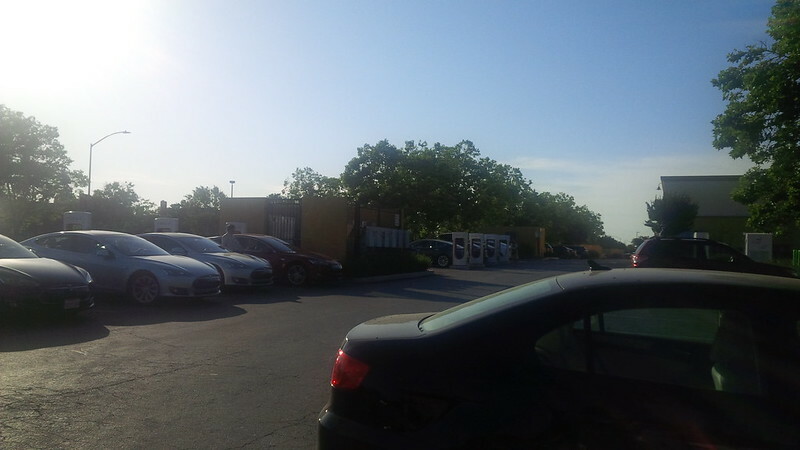 The last time we stopped off at Buttonwillow, we were actually there to use the truck stop across from where Tesla eventually added the Buttonwillow supercharger. 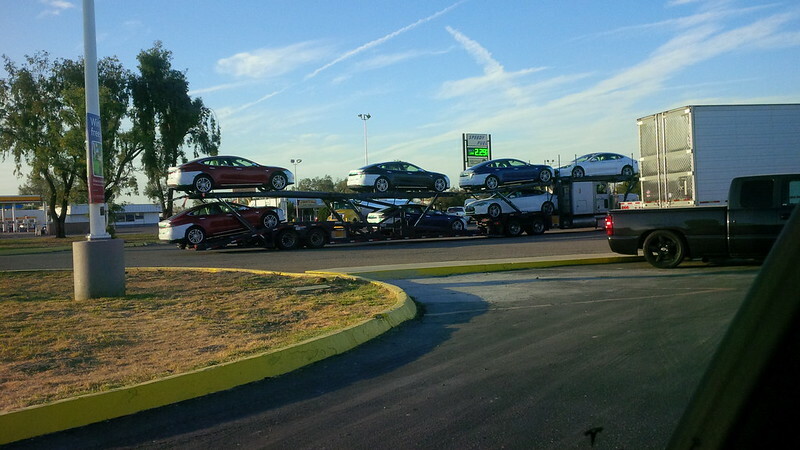 It was also at this stop where we noticed a trailer full of Teslas being sent from the factory. This time, we were across the street by the Starbucks. I think the official sponsor for the parking lot might be the hotel next door, otherwise it’s a big, empty parking lot. 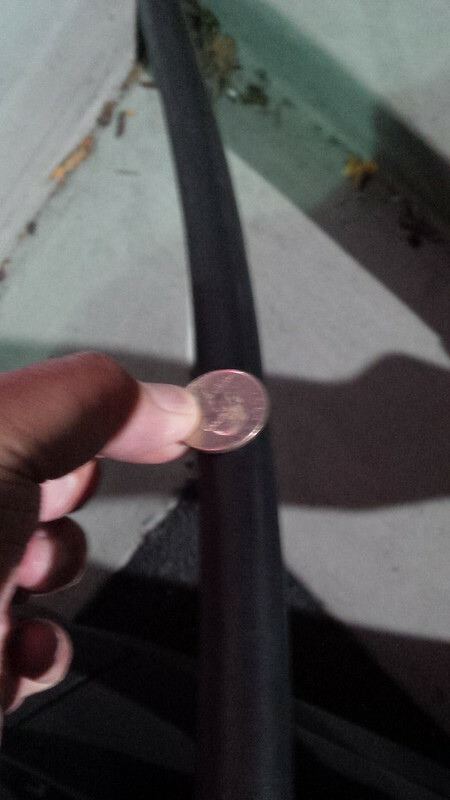 What is disconcerting regarding this supercharger location is one has to park with your back to the street. This is normally not a problem, but when one stops at 11:00 PM, one can get paranoid. Granted, the location was well lit, but the lighting made one feel like a spotlight was on one’s self. 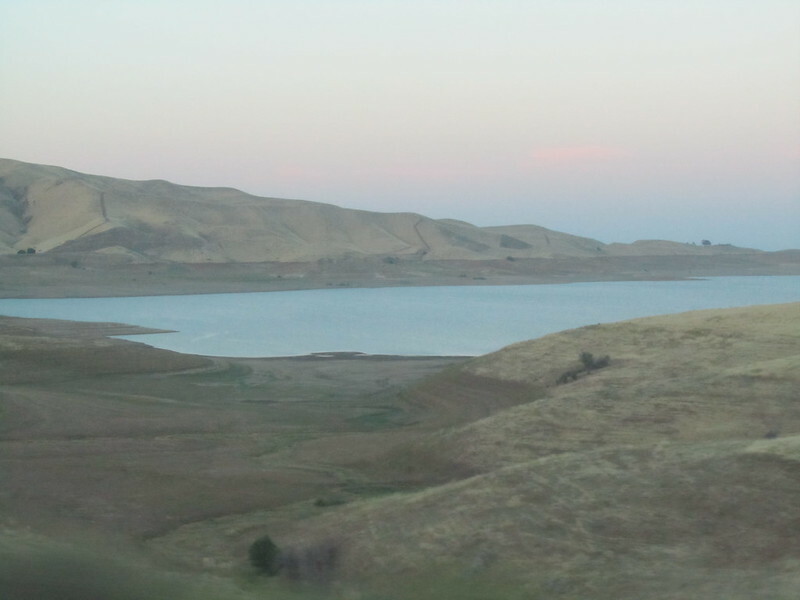 As previously mentioned, we didn’t have to stop here, the trip planner was recommending that we stop at Tejon Ranch, so we had to estimate our own “fill up” at the location. We stopped for about thirty minutes before we proceeded to drive straight home. Since we were at the location after 11:00 PM, none of the nearby businesses were open. The truck stop across the street was open 24 hours a day seven days a week, if one needed to use any facilities while charging here. 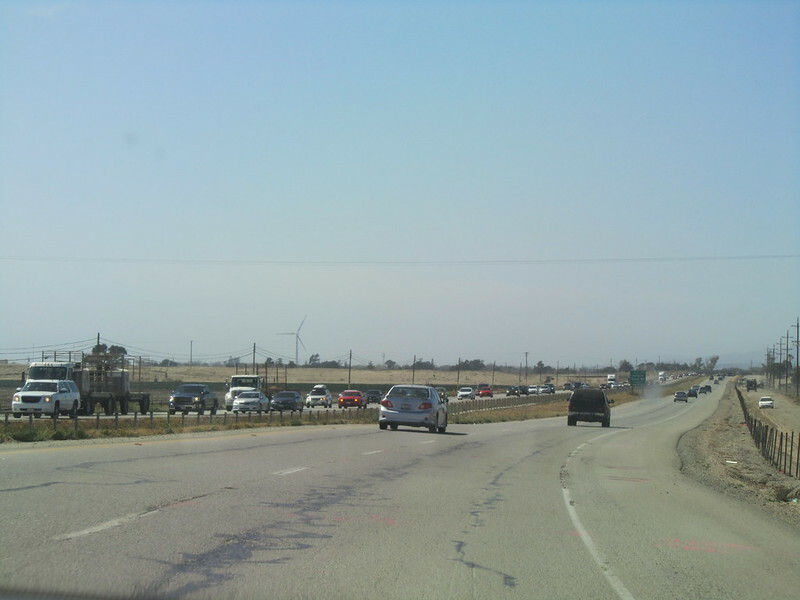 This is a situation similar to the Tejon Ranch stop, so if traversing through the area during “off-hours” and facilities are a consideration, I would suggest the Buttonwillow one anyway. 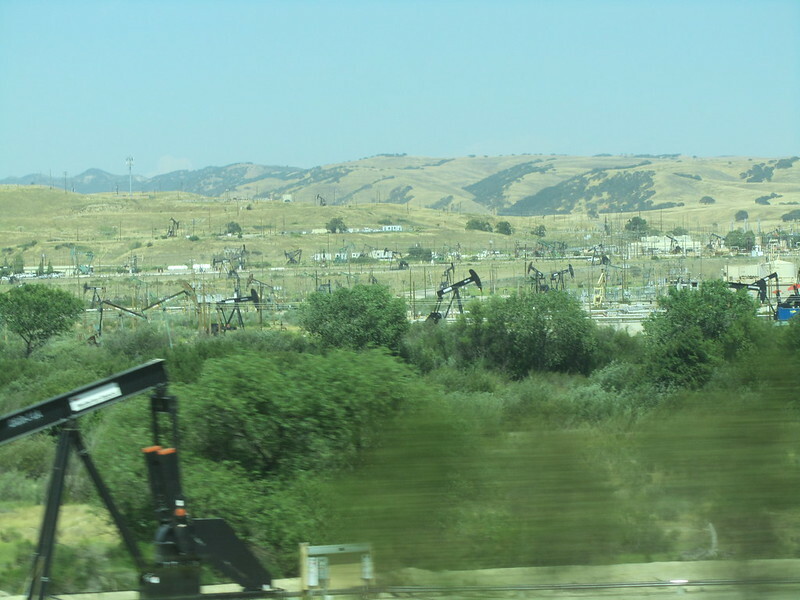 The truck stop is closer to the Buttonwillow one than the ones at Tejon Ranch. 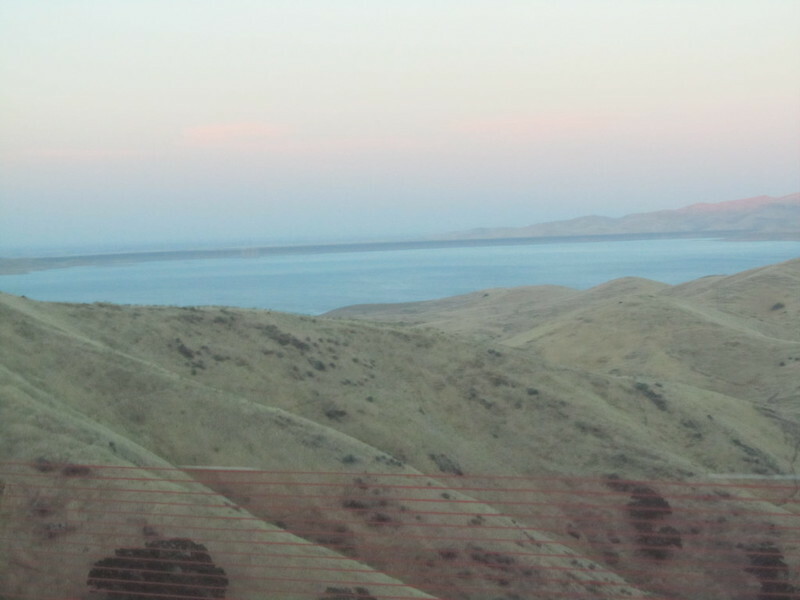 Purposely skipping the Tejon Ranch location can “play with one’s head” because the toughest incline of the drive (aka the “Grapevine”) starts just South of Tejon Ranch and there was always something comforting starting that incline with a “full” tank. We’ve often measured a 40 mile loss in the ten mile ascension in that drive. (Granted the next twenty miles barely consume any mileage at highway speeds, but it’s that initial climb that throws me off.) Working off previous experience and mental note taking that we had from Tejon Ranch, we saw that “starting off with momentum” for the climb, i.e. from driving from highway speeds for 40 miles before making that climb up the “Grapevine”, means that what used to cost us 40 miles in range only cost 35 miles based until we hit the summit and had the downhill and regeneration for the remaining 20 mile descent into the Los Angeles area. 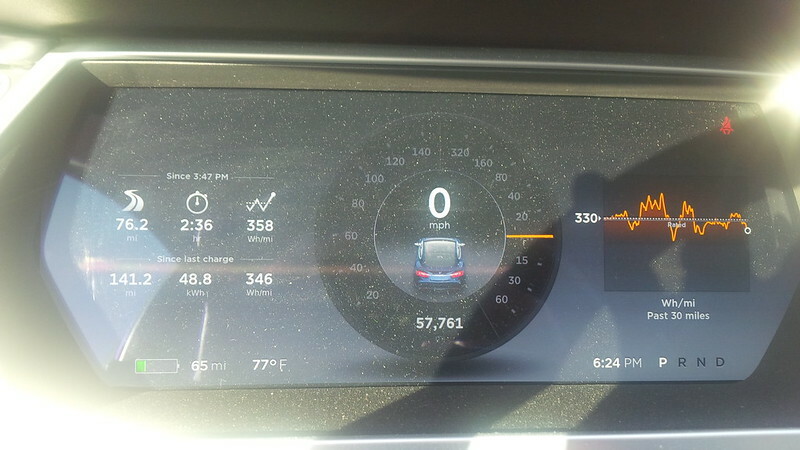 Interestingly, the longest part between stops on today’s drive was the one between Buttonwillow and home. 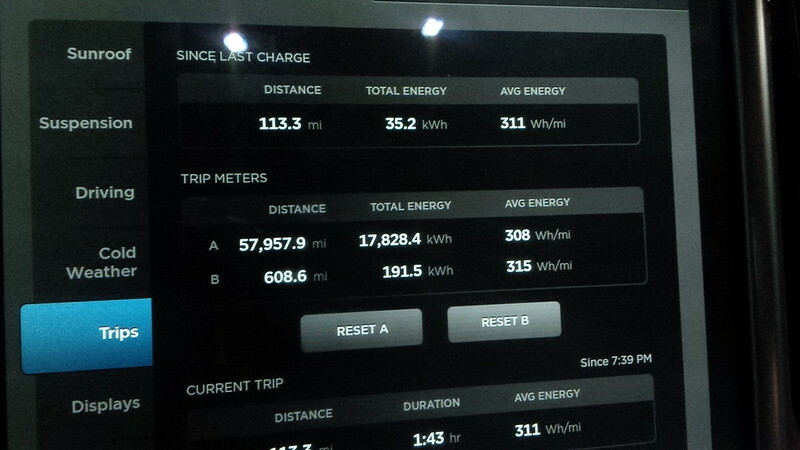 Additionally, I drove at my vehicle average in consumption during that portion of the drive 308 Wh/mile. The great thing about the drive was that it gave my wife and I time to digest the presentation that we attended and discuss some of our theories. These discussions yielded the previous post. Looking for Day One of the Drive, click here. Go ahead to Day Two. Here’s a link. 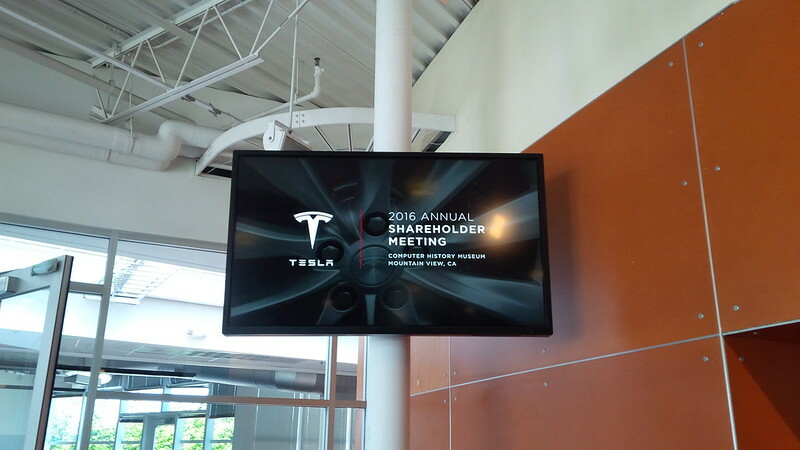 For as long as we’ve owned stock in Tesla (NASDAQ: TSLA) we’ve always submitted our votes via the Internet and virtually “attended” the annual meeting via a live video stream over the Internet. 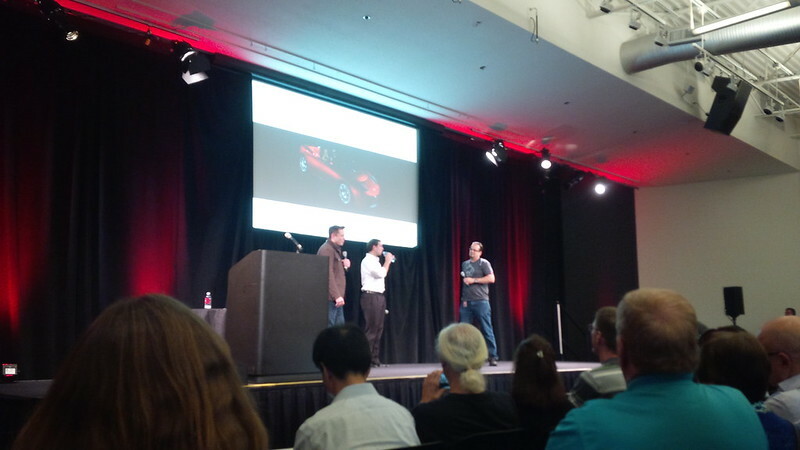 Last week we decided to attend the Tesla Annual Meeting in person. 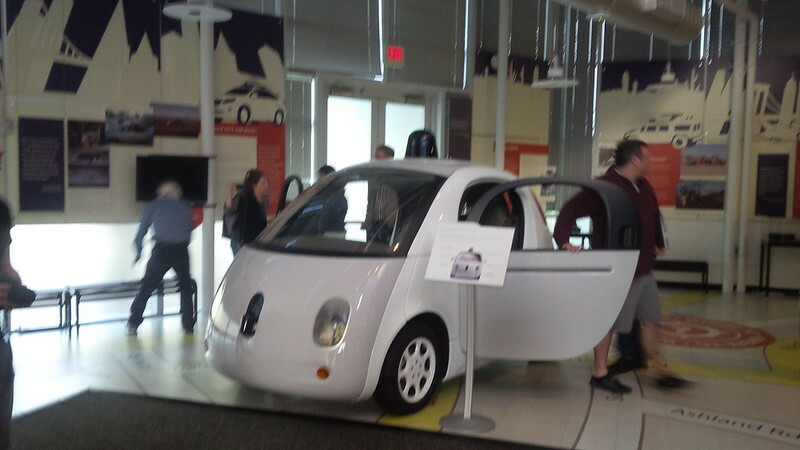 The meeting was scheduled on May 31, 2016, 2:00 PM Pacific, at the Computer History Museum located at 1401 N. Shoreline Blvd., Mountain View, CA 94043. 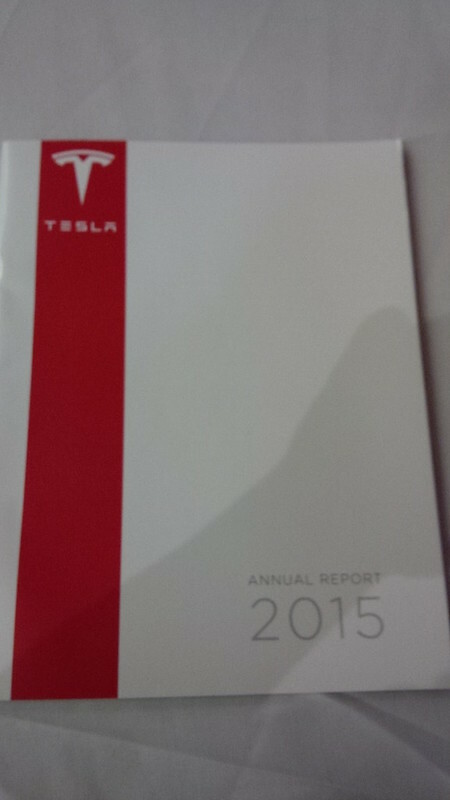 Tesla’s annual meeting is also available online. I felt that Tesla’s point to their meeting was important enough for its own post. Day two of this drive is here. 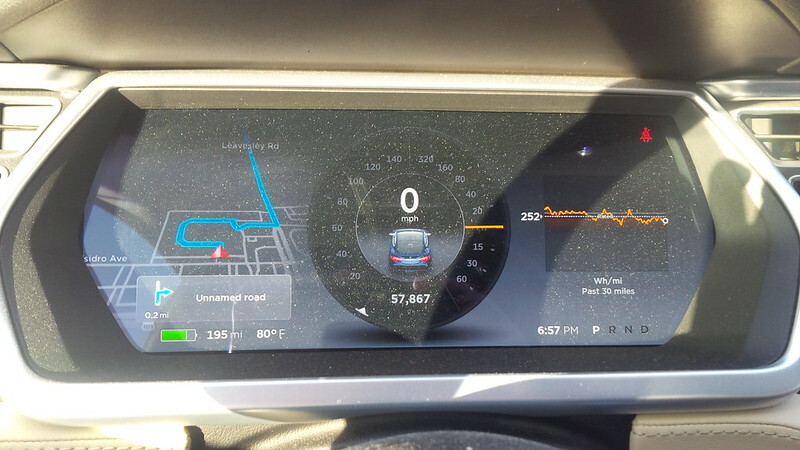 Now, those not familiar with California geography might think that this is a quick drive down the corner, but Mountain View is in Silicon Valley and we live in Southern California, so, it’s the opportunity for another Tesla Roadtrip. 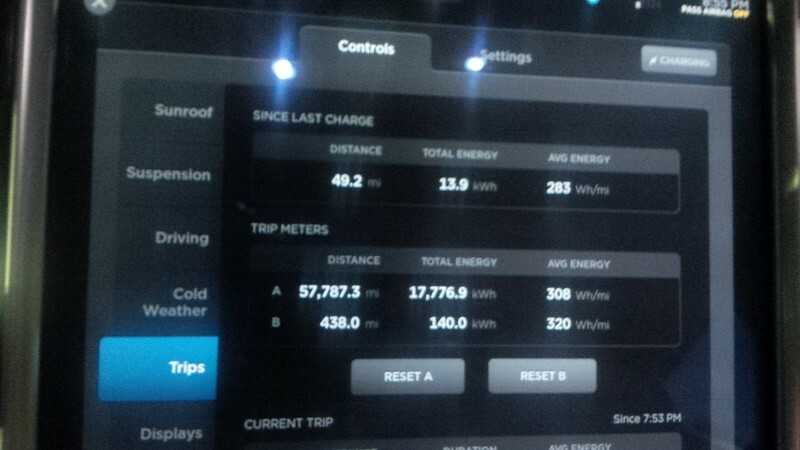 As with other Roadtrips, we start with tracking the miles and energy use of our drive. 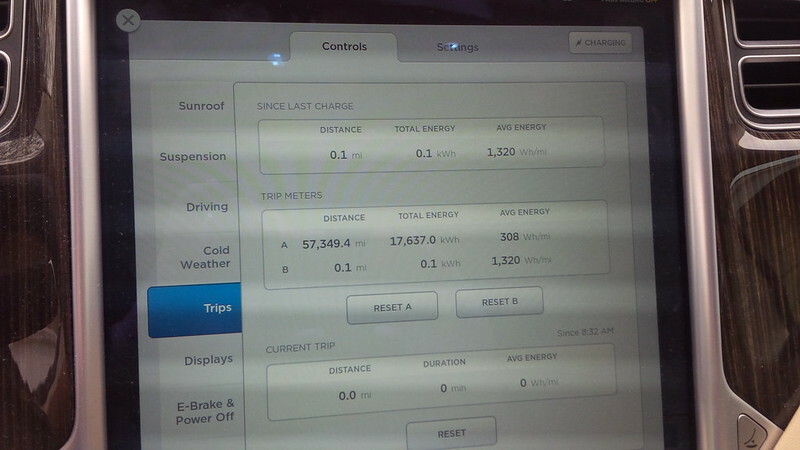 We started the trip at 57,372 miles on the odometer and a 90% charge at 228 miles. 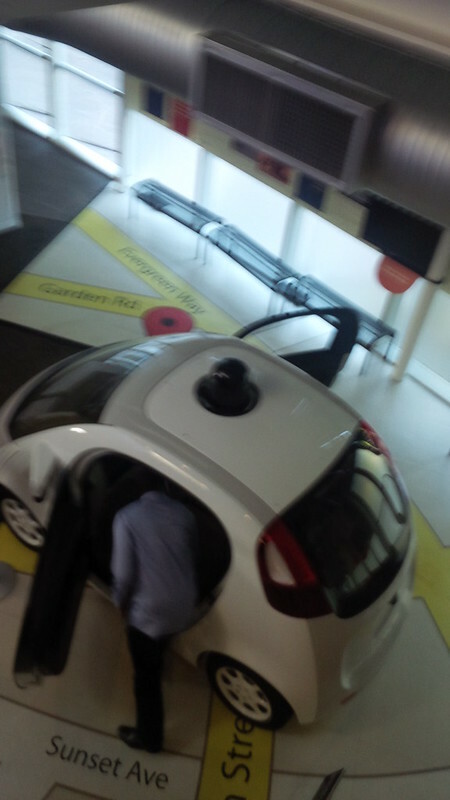 Not quite the energy use at ZERO, we used a little bit of energy to stage our car in our driveway. 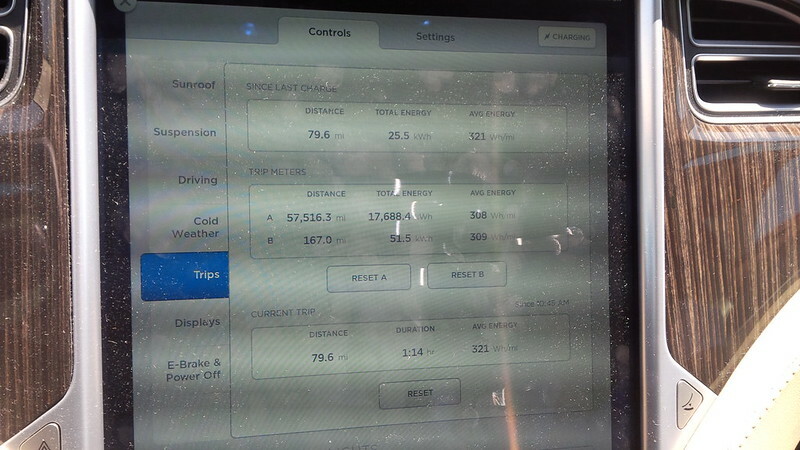 It was worth it… Considering this will be the cleanest our Model S will look after this drive. Now, in contrast with our trip last year which took us up to the Bay Area in one day, we’ve decided to split this trip into two days. This post will cover the first day’s drive and activities. Day two’s activities will be posted at 10AM Pacific Daylight Time/6PM BST, June 9, 2016. One of the big challenges is the annual meeting is held at 2:00 PM and we would have to leave very early on the 31st to make that drive versus the drive last year where the event we were attending was later in the day. 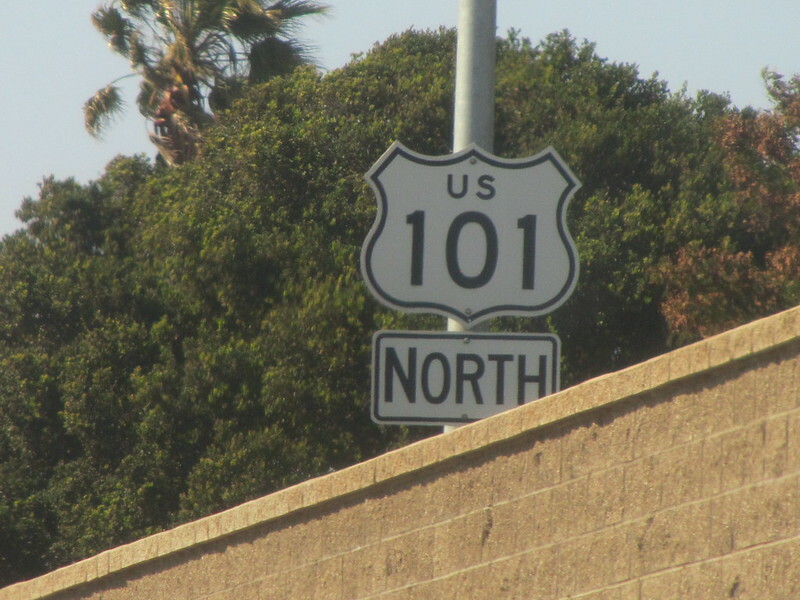 Besides, it was the opportunity for us to take the “longer and more scenic” route to the Bay Area, the US 101 drive. The last time that we took our car through that route was on our Factory Pickup weekend in 2013. 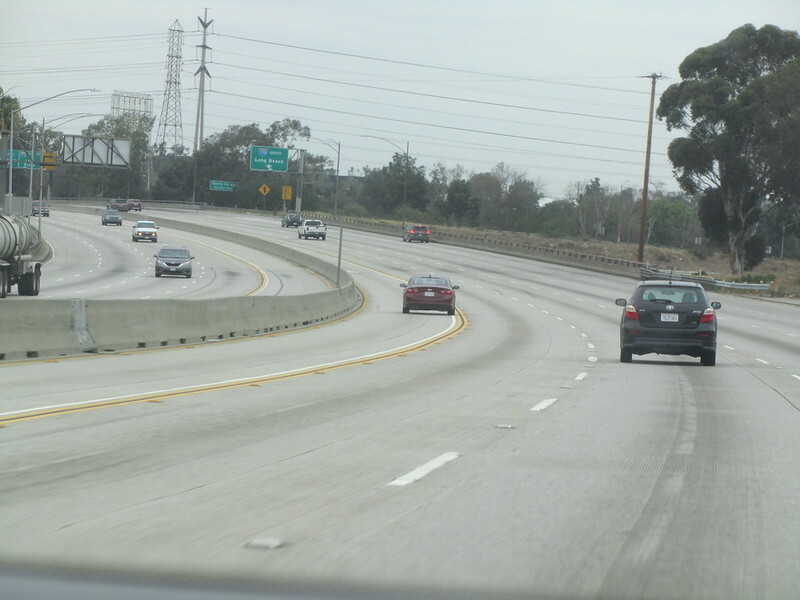 Since it was a Holiday, the traffic around town was relatively light. 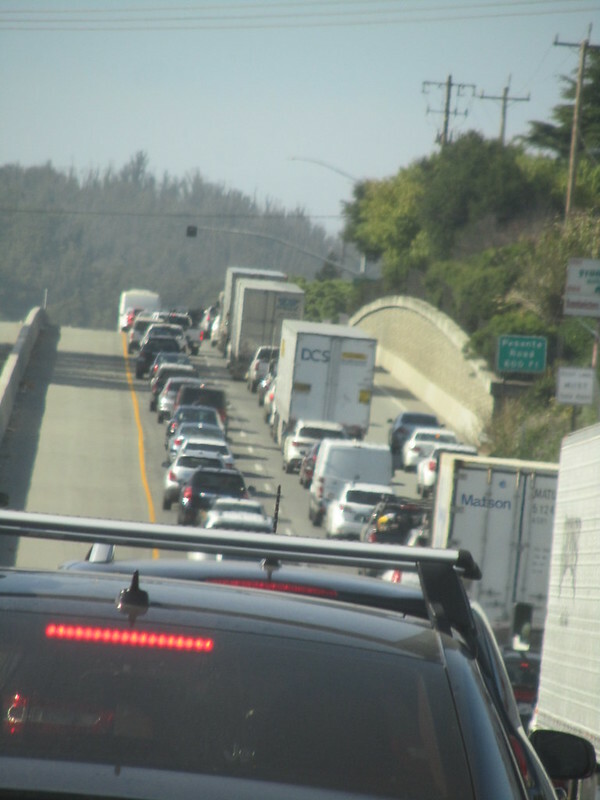 A lot of the traffic was on the other side of us, and this is the part of the 405 where we have to make our final decision on staying on going on US 101 or go to I-5. We opted to stay with the plan. 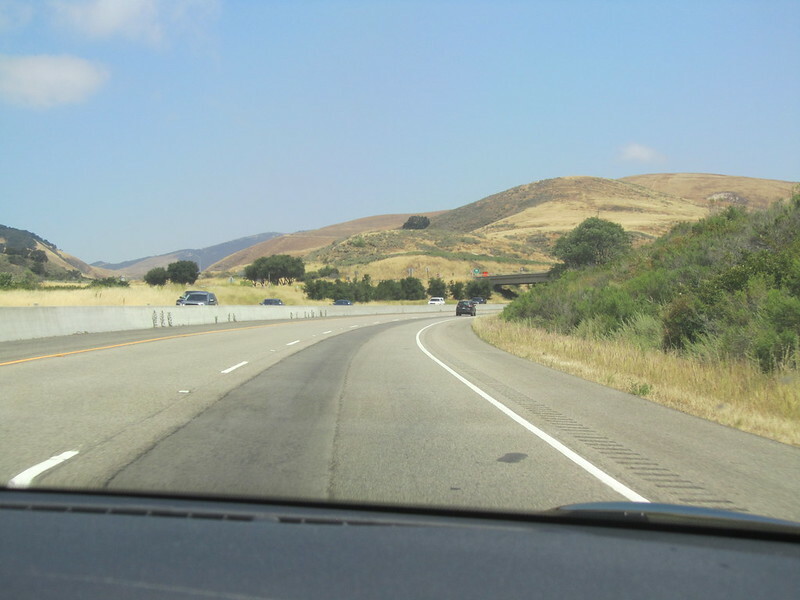 One of the reasons we decided to take the US 101 route is because we’re driving up to Silicon Valley on the Monday day of the Memorial Day weekend. 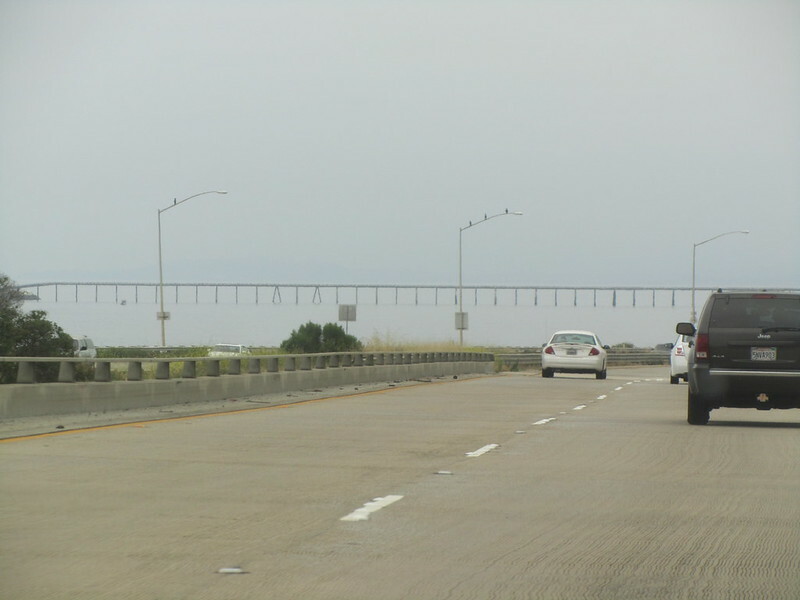 We anticipated a lot more traffic on I-5 and figure that the route will be a wash. Not sure whether or not this ended up being the case, but that was my internal justification for taking this route. The great part of taking a different route is you get different views for this long drive. 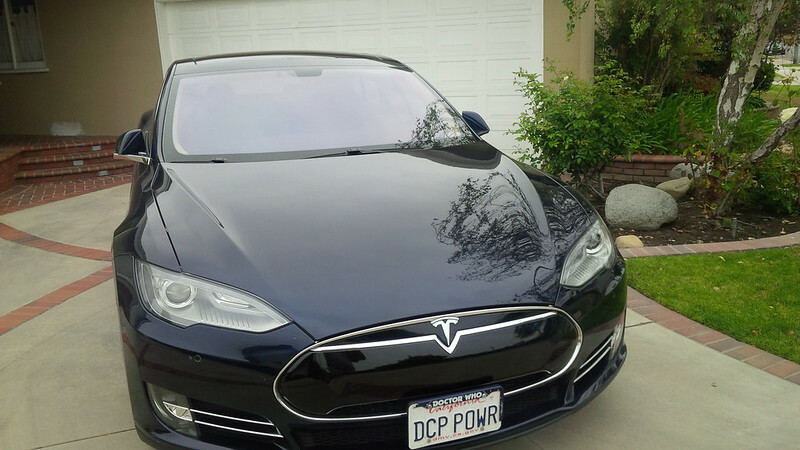 When we did this drive in 2013, the only supercharger in the Los Angeles area was the one at the Hawthorne Design Center. 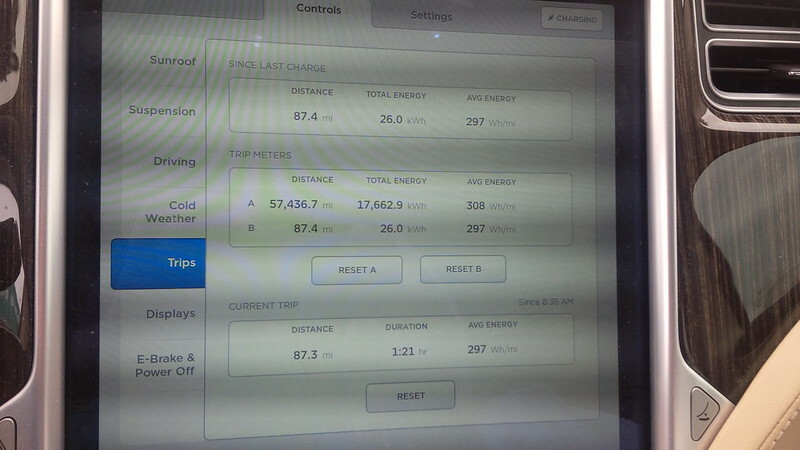 As mentioned earlier, we rolled out of home with a 90% daily charge at 228 miles of range, more than enough to make it to the superchargers at Buelton. 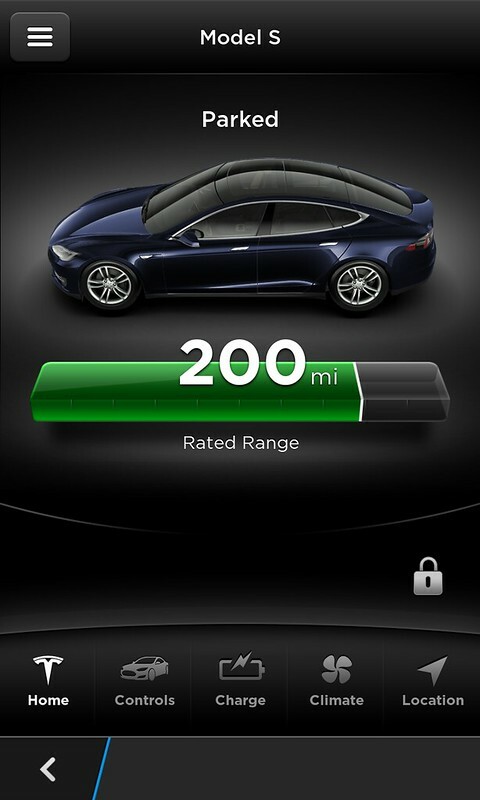 However, we rolled off without grabbing any coffee, so we opted to stop off at the Oxnard Supercharger. 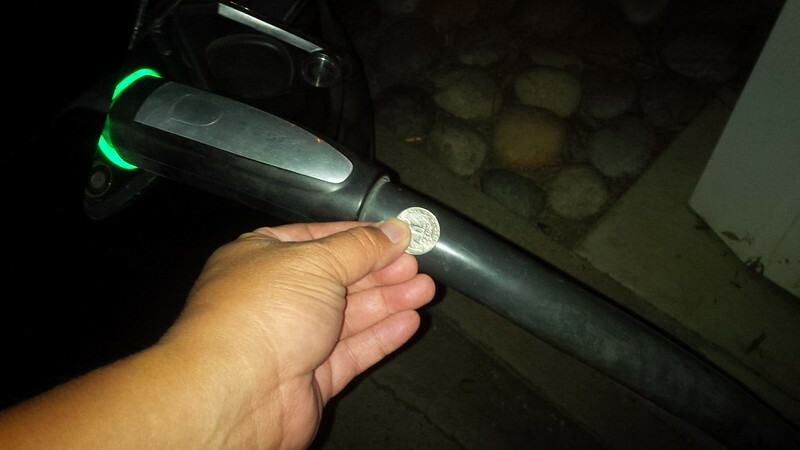 This was not our first time at the Oxnard Supercharger. The in-car Tesla trip planner had us originally skipping this supercharger, but we’ve been in the car for an hour and a half when we got to the area and I wanted to stretch my legs and grab coffee. So, we stopped. Figured to go grab some coffee at Starbucks and get some electrons and stretch my legs. 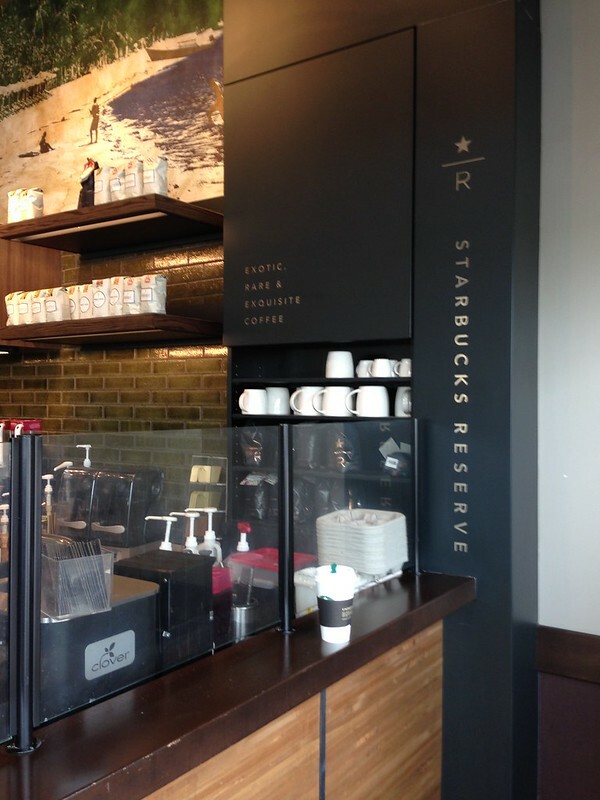 The Starbucks for this charging station is not directly beside the location (It’s at the corner of Portico Way and Town Center Drive.) 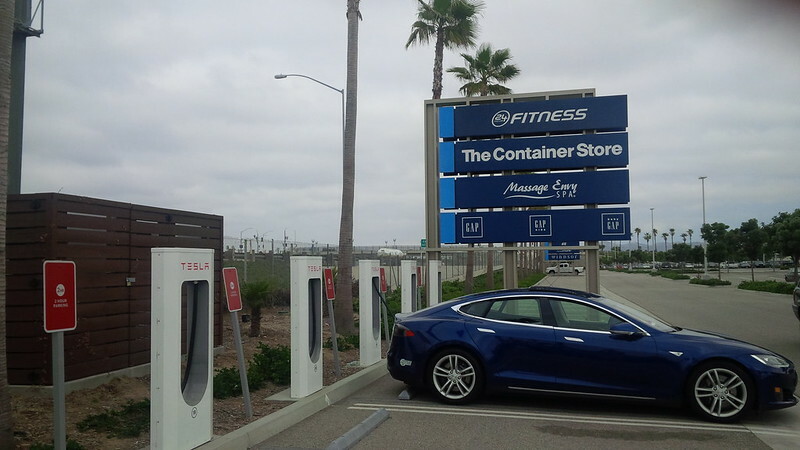 It’s a short five minute walk from the charging station, but we figured to get enough of a charge to skip the Buelton Supercharger instead by stopping at Oxnard. This particular charging station was relatively free when we got there, but it seems that many that needed to use it started arriving as we rolled off. 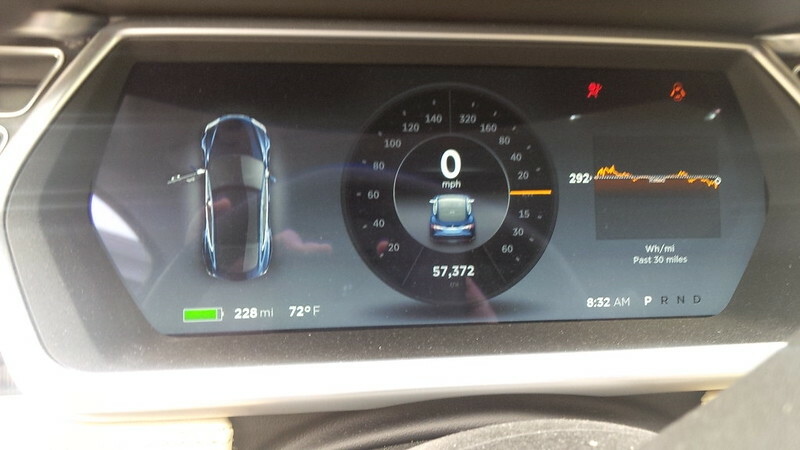 As we were preparing to leave, I noticed that one of the vehicles that pulled up had Indiana plates that I figured to strike a conversation with the “out of towner.” It turned out that the owner of the Indiana plate Model S just moved to the area over a month ago and was on his way to Santa Barbara Wine Country. With the the driver and passenger fueled up, we headed North. 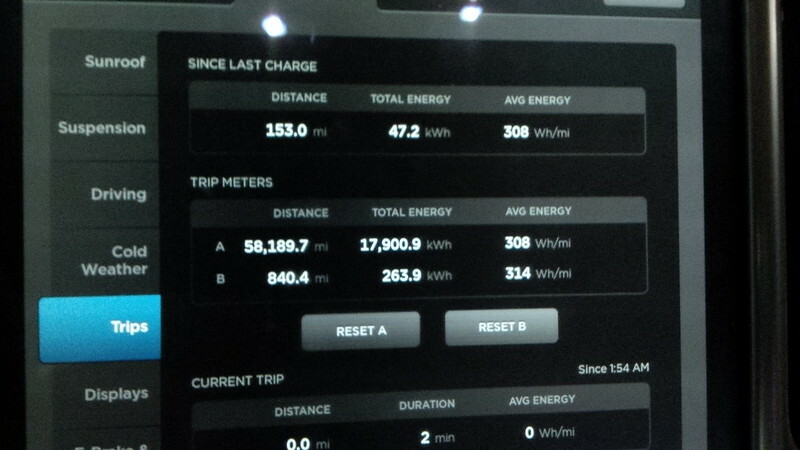 The next supercharger was Buelton and we had enough to skip that supercharger and head to Atascadero instead. 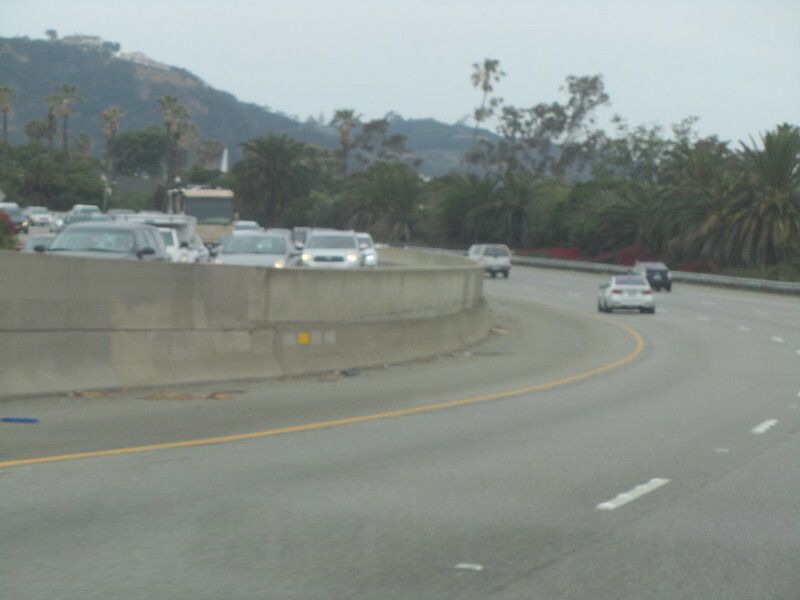 The Buelton supercharger is the first supercharger North of Santa Barbara and on a holiday weekend, we expected traffic to hit us in Santa Barbara. Normally we would expect to see some nice sunny beach pictures off to the side of the drive, but we were pretty much overcast on the beginning part of the drive, so here’s a beach shot. Not much to brag about. 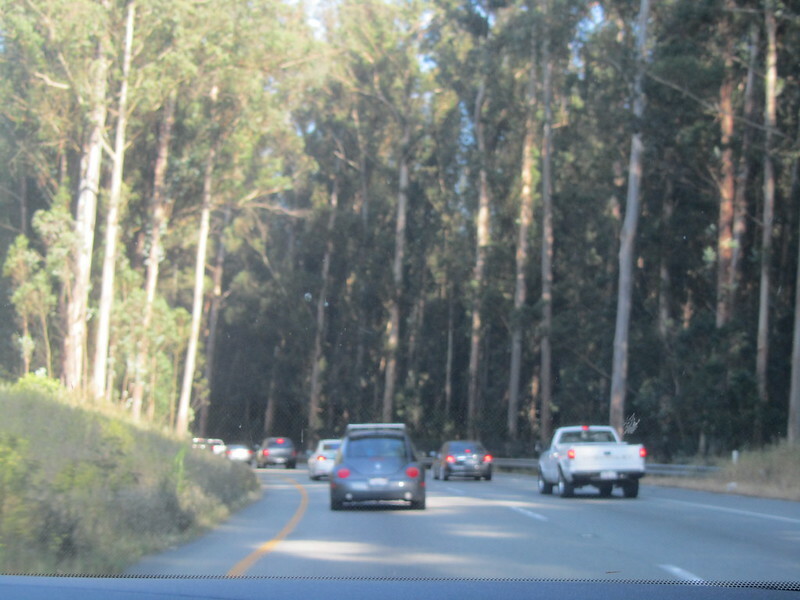 And that traffic that we expected in Santa Barbara, we were not disappointed. We were pleasantly surprised because they were headed back to the Los Angeles area and not joining us on our drive North. And, sure enough as we clear the beach portion of this part of the drive, the sun decided to show. So, we were planning on skipping the Buelton Supercharger, but I really should have just ordered a Tall Latte at Starbucks and not a Grande. Though we had plenty of charge left to make it to Atascadero, I figured to do a quick pit-stop at Buelton. 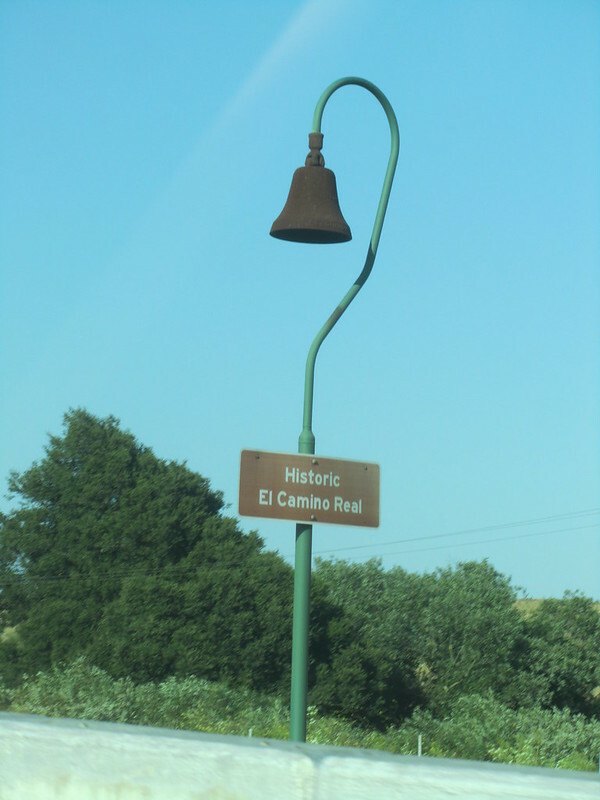 We only traveled about 80 miles from Oxnard, and the car can outlast me, but I always figure if I need to stop, I might as well make it a multi-purpose stop. 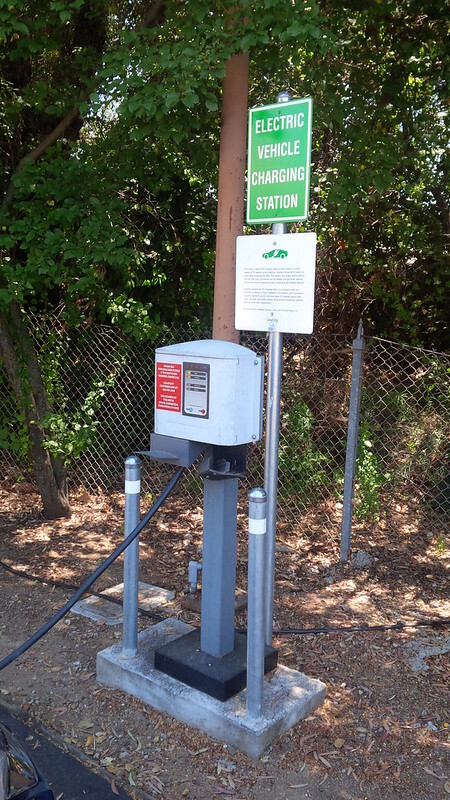 The Buelton Supercharger is located at a Marriott and they are in the middle of renovations at this location that is expected to last a few months in 2016. 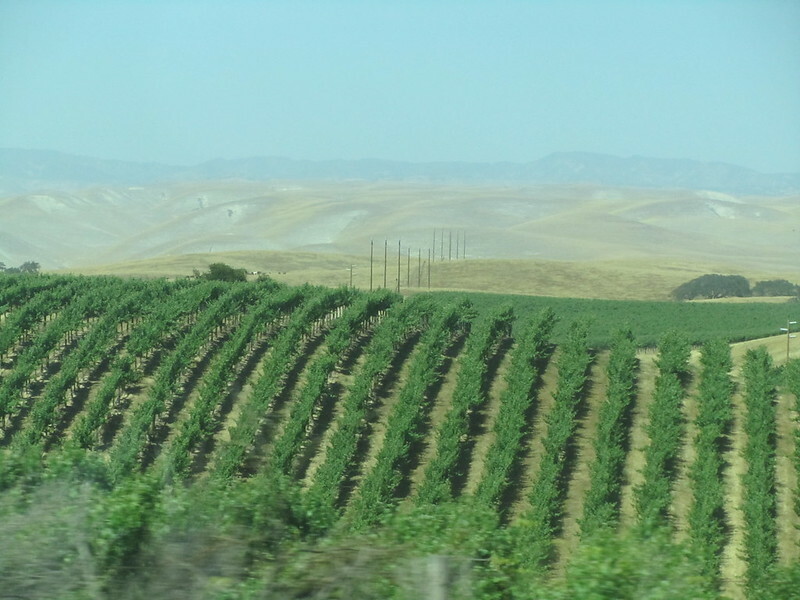 Buelton is right beside the Santa Barbara County wine region and as such we get treated to some nice views of grapes that are growing. 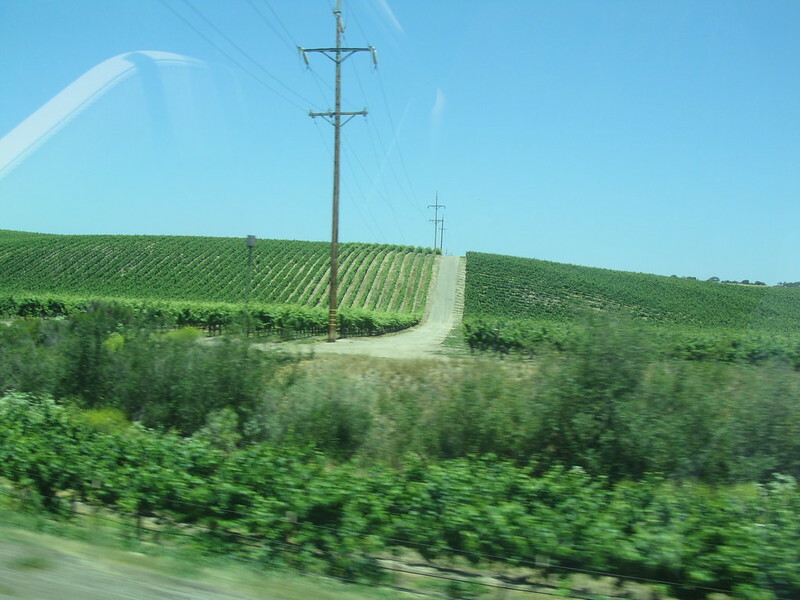 Though, I was teasing the better half at this point and discussing with her whether these were the “raisin” farms. Come to think of it, if someone can plant grapes to make wine, why would you plant grapes to make raisins? Or sell grapes for food instead? The thoughts that pop up on a drive. When we drove this on our Factory pickup weekend, we were nearing the end of our journey and it was very early in the morning. 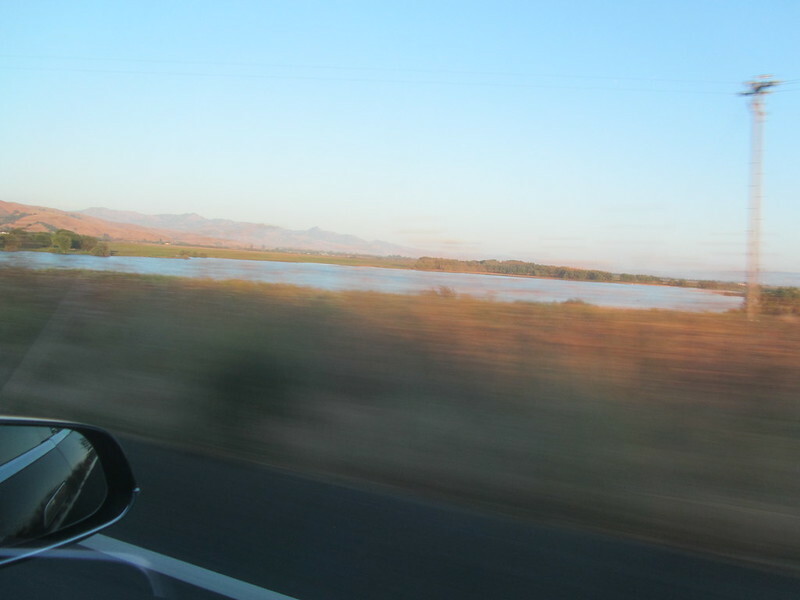 It was nice to be able to see the scenery on this drive. However, we had some strong flashbacks of our time in Vermont and New Hampshire. 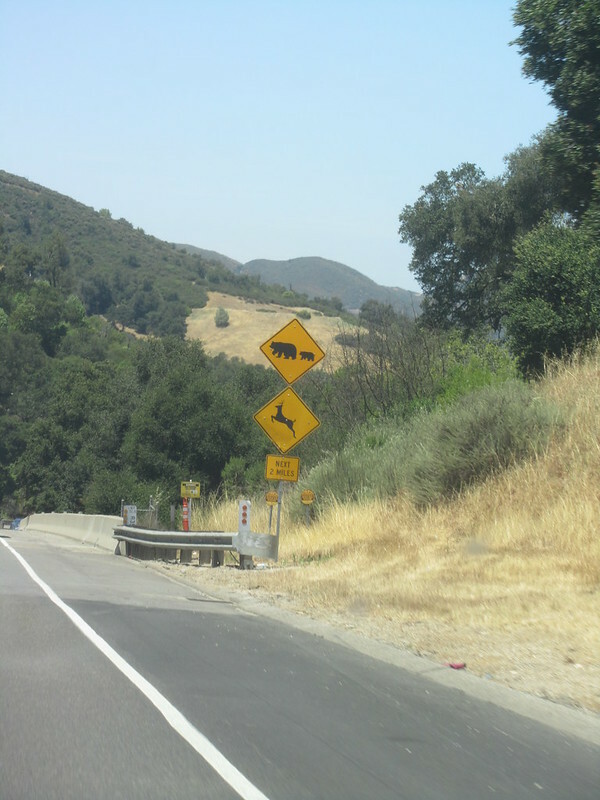 At least in California, our BEAR signs are a LOT more cute. And another 80 miles later, we’re at Atascadero. 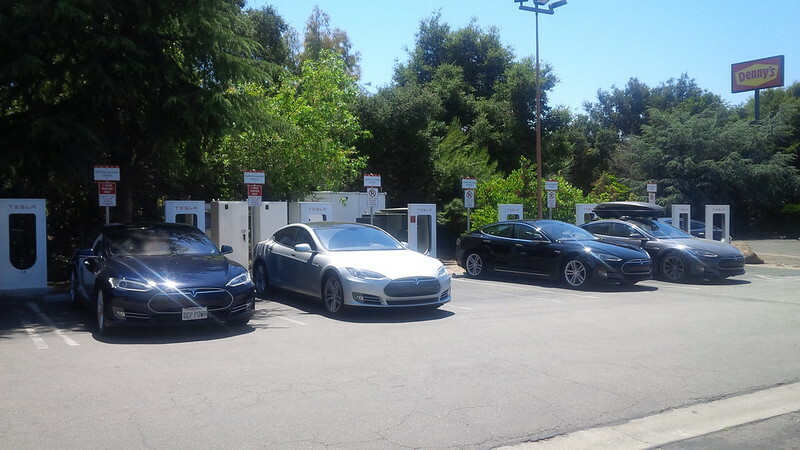 The Atascadero Supercharger stop is another legacy stop for Roadster owners. When one walks from the Supercharger to the Rabobank there is an EVSE there (now converted to J1772) that was originally configured for Roadsters. 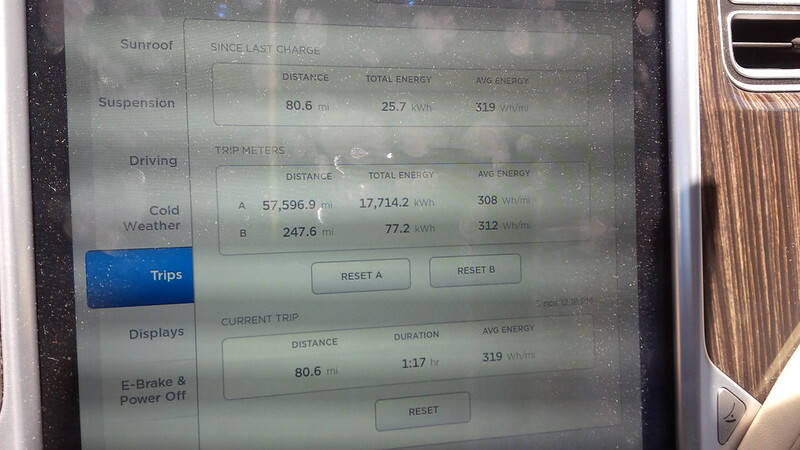 When we were there charging, a Honda Fit EV was there charging at full 6.6kW speed. 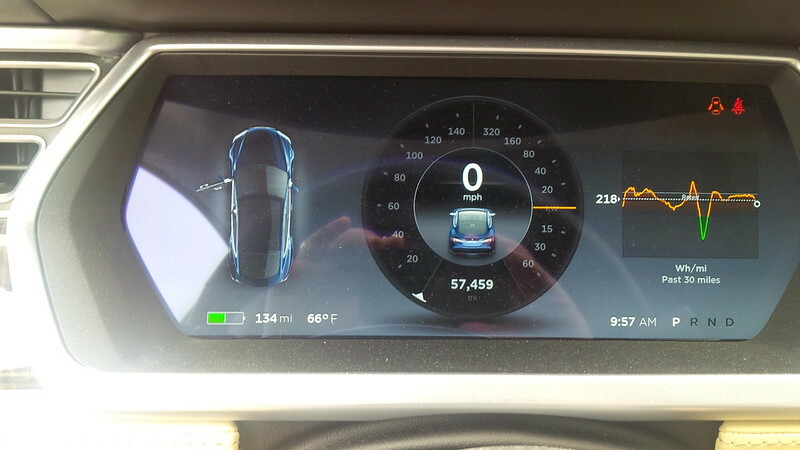 The Roadster is capable of charging at 70A (not sure if that means 16.8kW or 17.5kW) and many of the Roadster owners donated HPWCs to form the precursor to the Supercharging network. 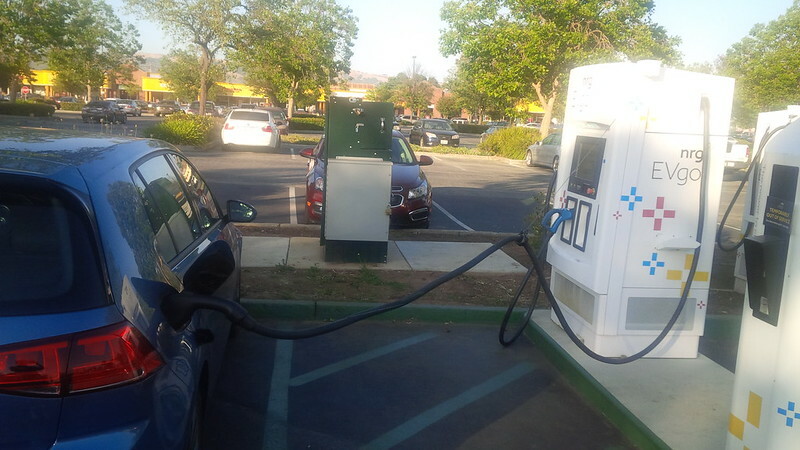 There are still some of these chargers out in the wild (the one in Harris Ranch, for example is still there and set up for Roadster charging) though many have been converted to J1772. This particular location was the busiest of the ones on the drive North so far. And we decided to stop here because there was a very imposing string of red on our route ahead. I contend that this is the holiday traffic headed home and wanted to ensure that we topped up to be able to drive in comfort and maximize cooling. The temperatures outside were in the 90s and sunny now that our drive was more inland. Go figure. 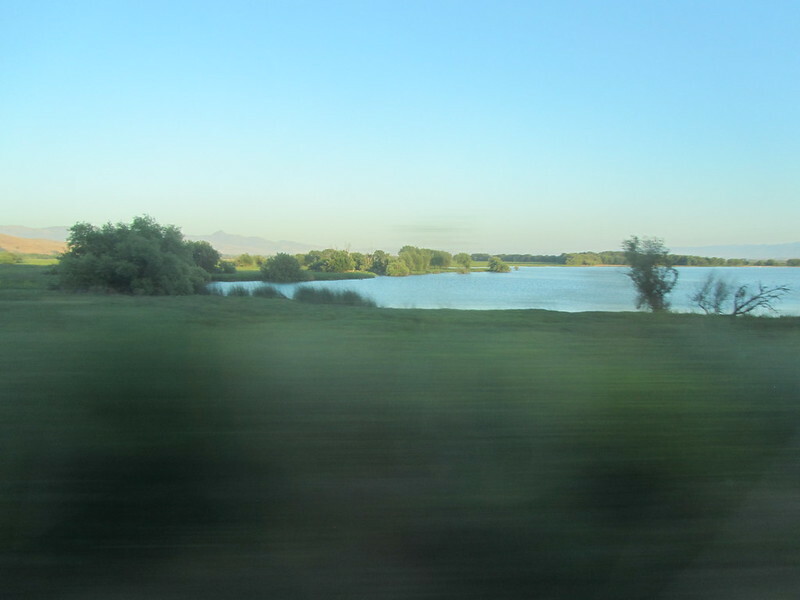 As long as this drive has been relative to our usual I-5 route, it was a little refreshing because there were lots to see. 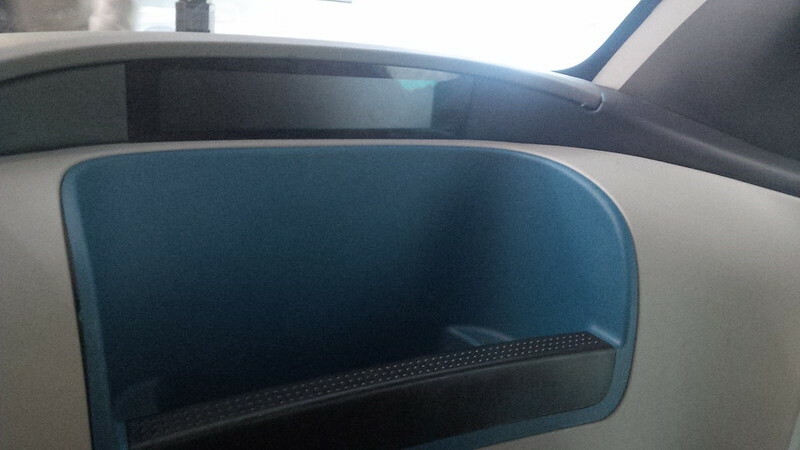 Even things that we are hopefully shutting down as we move to a more EV centric transportation network. 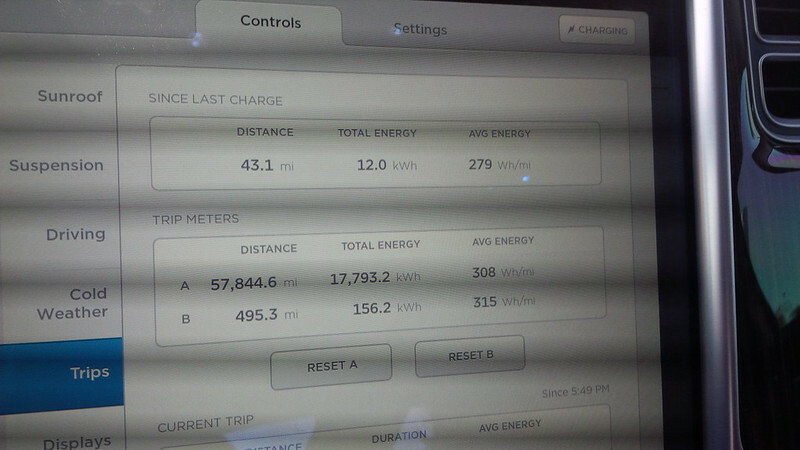 Of course, more and more fellow Tesla travelers on this route. 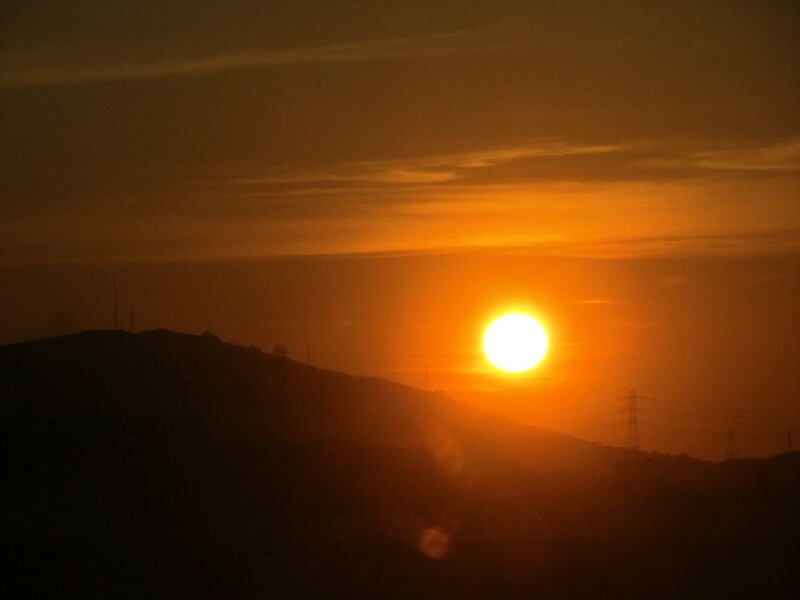 It’s not all solar either. Wind is there too. 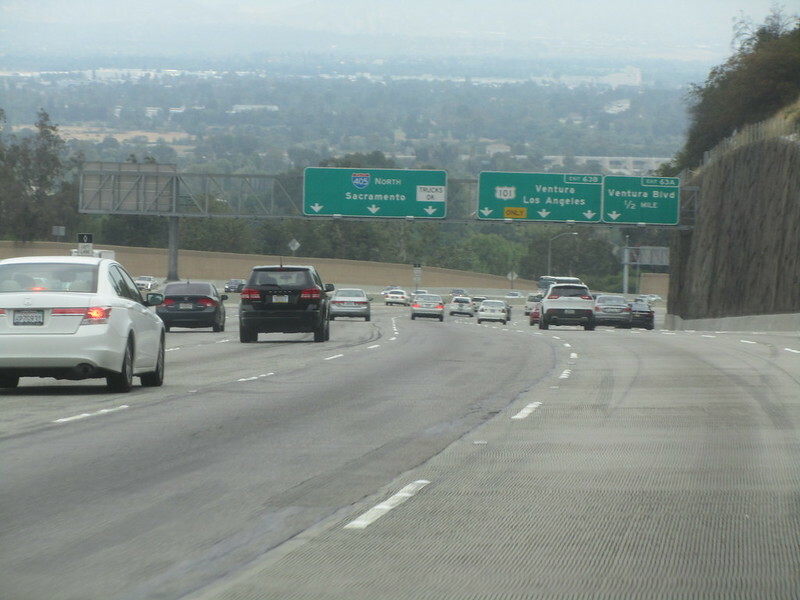 At first, I had designs on “going off-route” and checking out the supercharger in Monterey Bay, but the traffic on this Holiday weekend had something to do with changing my mind. We spent a lot of time in traffic because I did not want to follow the GPS which kept trying to re-route us around the traffic and onto “less traveled” routes. We spent the time entertaining ourselves with interesting visual clues. 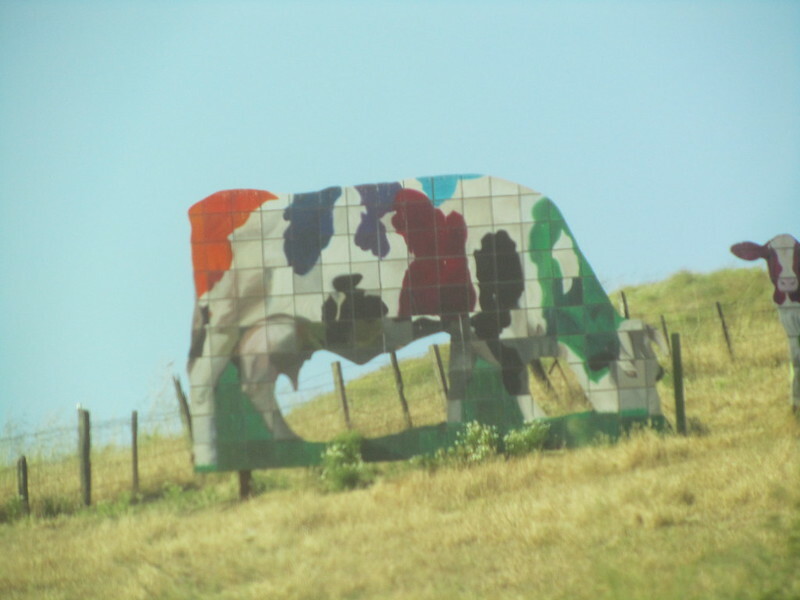 It wasn’t until we were near Gilroy when traffic lightened up. 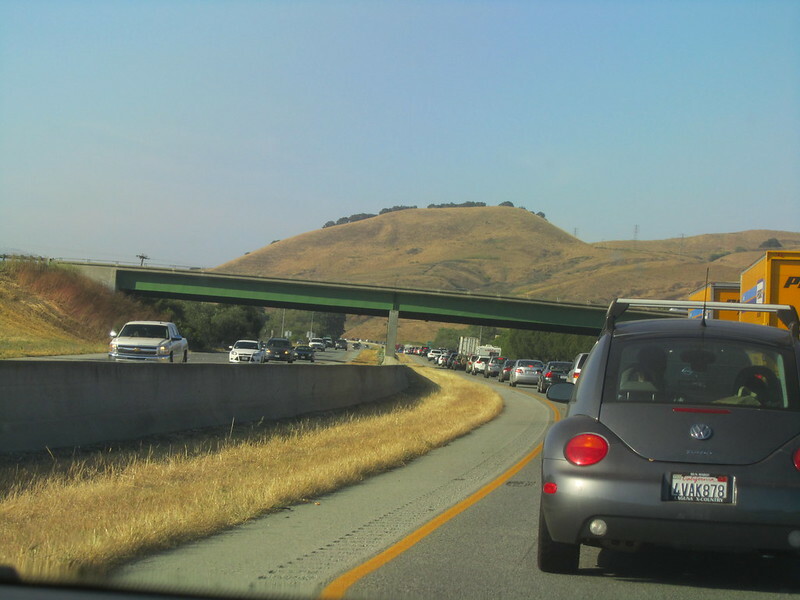 We could have skipped Gilroy and checked into our hotel, but I wanted to take a break because of all the time we spent in bumper to bumper traffic. 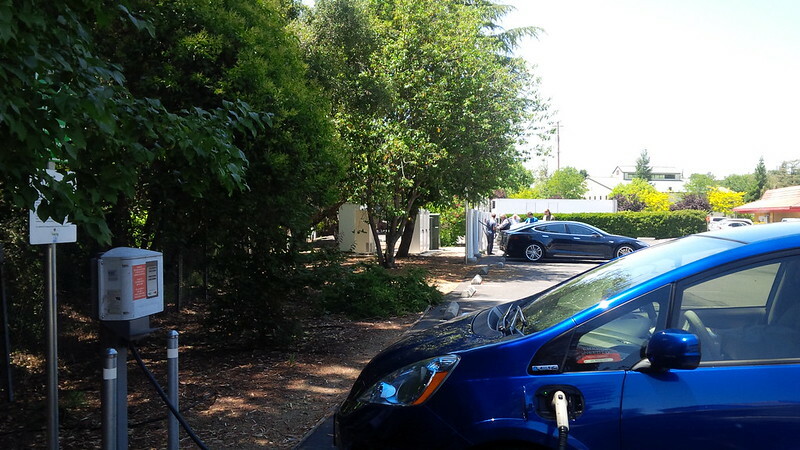 Besides, a strategy that we often use for visiting the Bay Area is to supercharge enough “driving around” charge once we hit Gilroy, so we decided to do that. 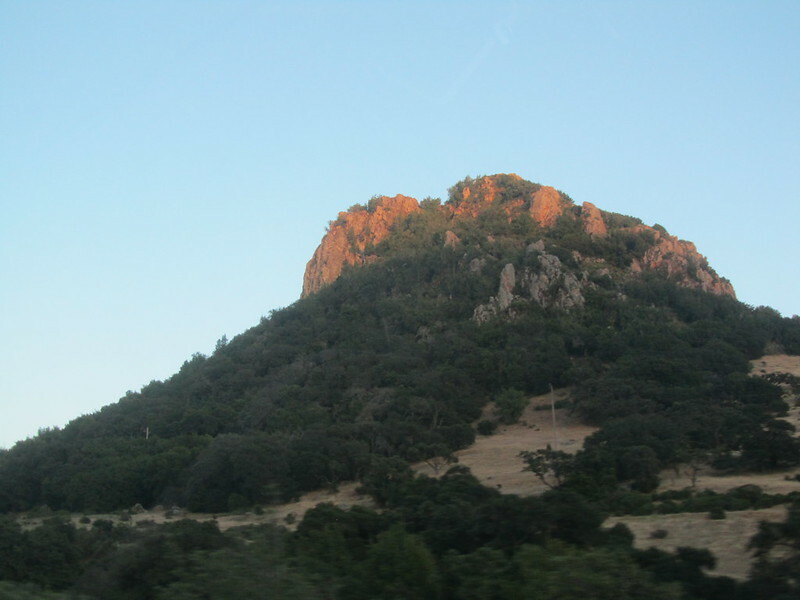 Because of the elevation differences and the heat, our consumption on the Atascadero to Gilroy stage of the drive was pretty wasteful. 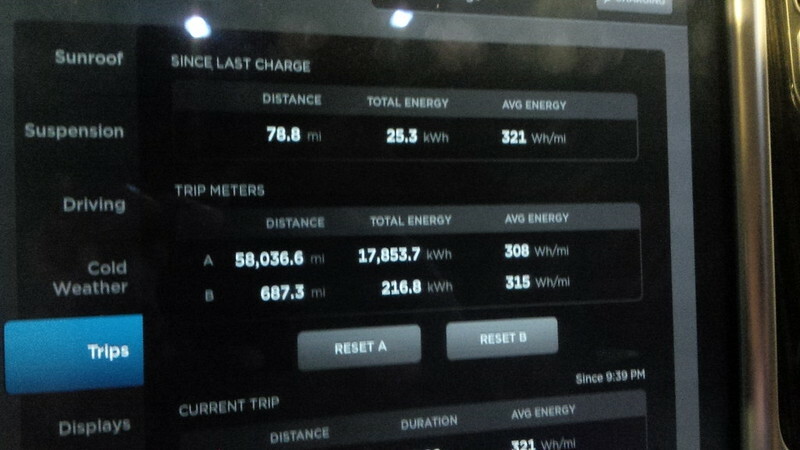 I have averaged between 307 to 309 Wh per mile for as long as we’ve owned the Model S and the leg between Atascadero and Gilroy we used 346 Wh per mile. I wonder what the readings would have been if we were rolling along rather than stuck in bumper to bumper traffic. I would surmise that it would be even worse consumption figures. 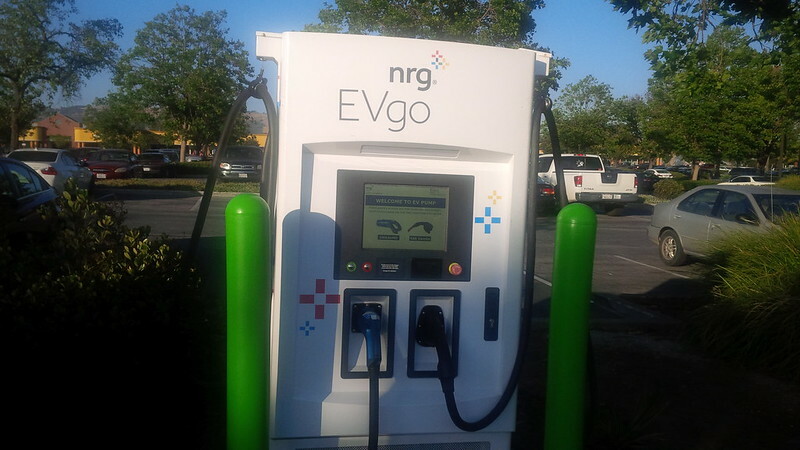 If in a pinch, however, there are two NRG EVgo CHAdeMO/CCS combo chargers across from the Superchargers. Either way, we waited and charged up. As packed as the location was, no one had to wait. 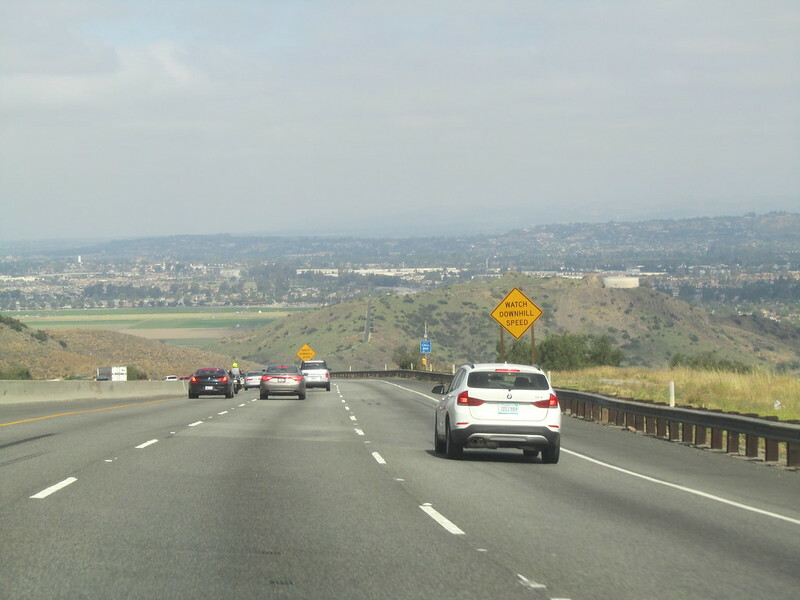 As we were nearing time for us to go, we actually ran into a couple of Tesla Owners Club of Orange County (OC Tesla (meetup group and our group page on TMC) members who were also headed to the annual meeting. We spent a few minutes catching up and making plans to meet the next day. Before it got dark, we rolled off to our hotel. We grabbed some dinner and then headed to our hotel. So after 438 miles of driving, we checked in for the night. What wonders will we see tomorrow at the Annual Meeting Day? We didn’t know at that time and went to bed. Day two of this drive is here. For my theories on the point and meeting content, click here. Looking for the Drive Report/short roadtrip?. 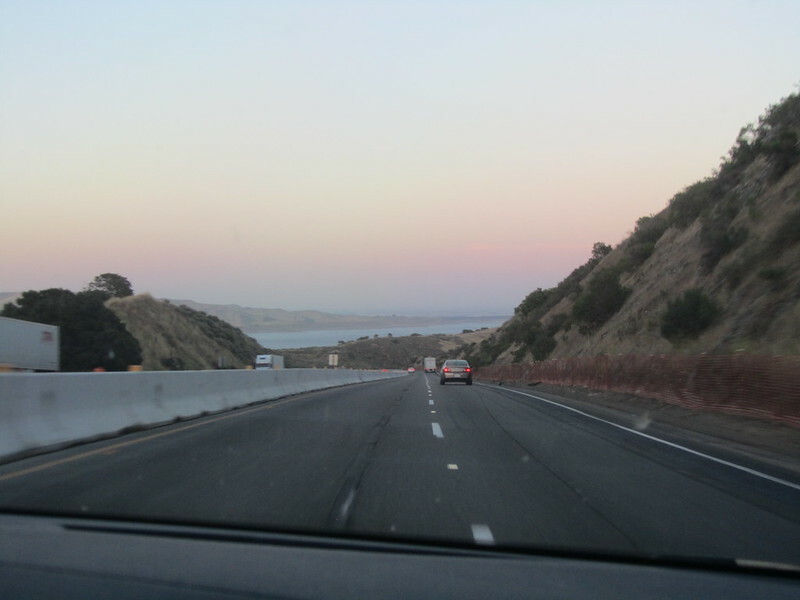 Here’s Day One – Northbound and Day Two – Southbound. 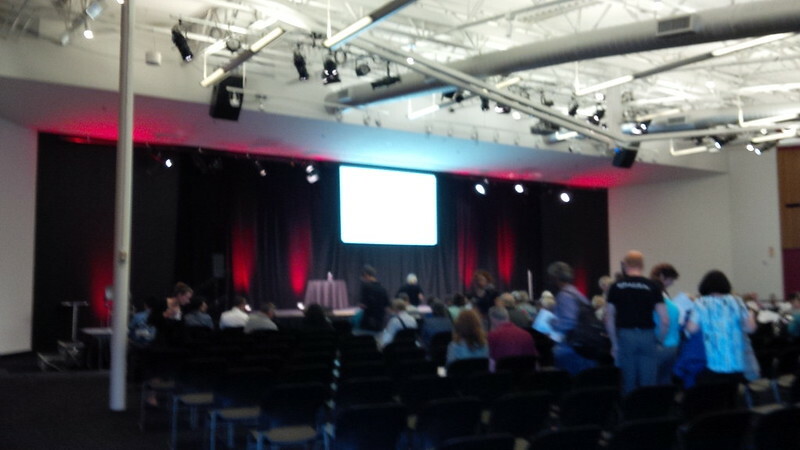 Having only attended the Tesla Annual Meeting online, we didn’t really know what to expect on this trip. The formal part of the meeting was short (a little under seven minutes) There were only three things to vote on and that part was very quick. Nothing against the meeting that Todd Maron ran, but we drove up to the meeting for the second part of the meeting – the part of the meeting that Elon Musk leads. 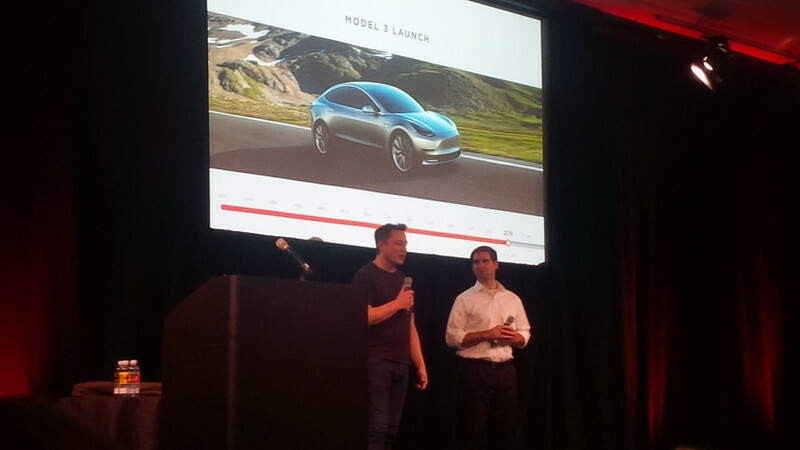 So, Elon, accompanied by JB Straubel, decided to give the attendees (and those that watched online) an approximately three hour recap of Tesla history as they recall it. As the saying goes, “History is written by the victors.” I won’t be analyzing the recollection of those there, I wasn’t, but those long-time Tesla customers that were there seem to remember different stories throughout the years. So, why the three hour history lesson? I have a few theories and I’d like to go through these theories. 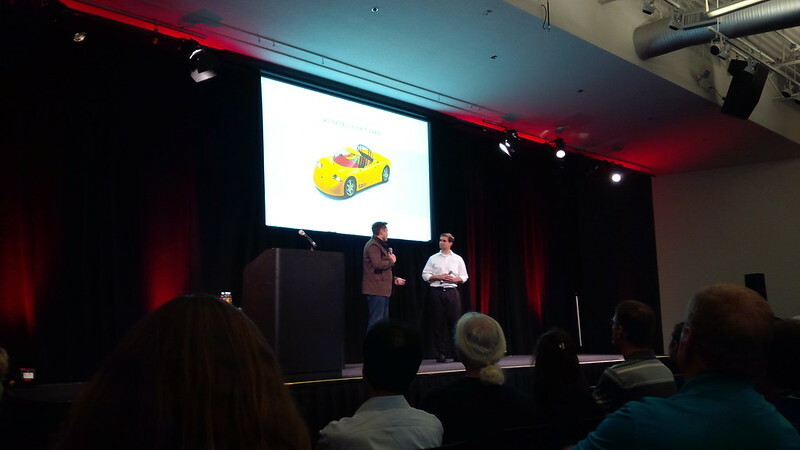 My first theory is this is Tesla’s first annual meeting to introduce future owners, i.e. the hundreds of thousands of Model 3 reservation holders, to Tesla. They want to start to manage the expectations of future Model 3 owners and let them know what they’re getting themselves into. 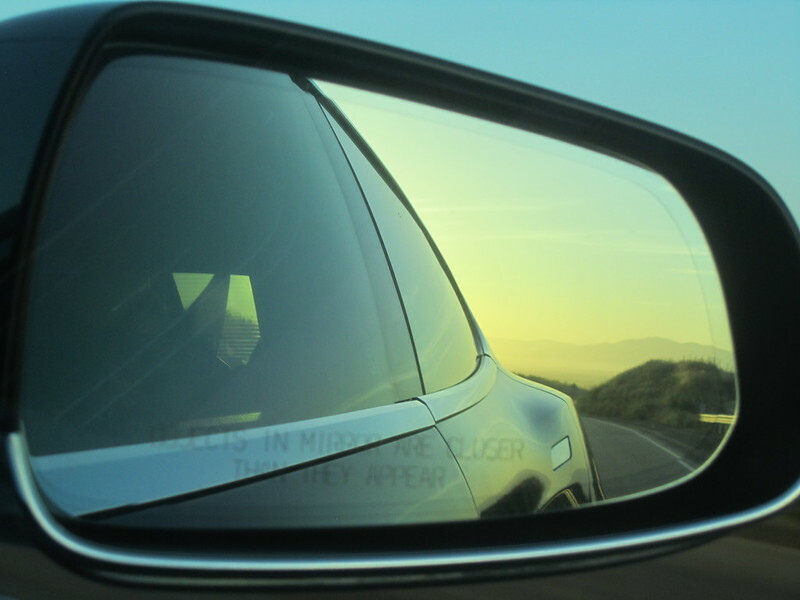 The second theory is to show the significance of the pending launch of the Tesla Model 3 to the mission of Tesla. 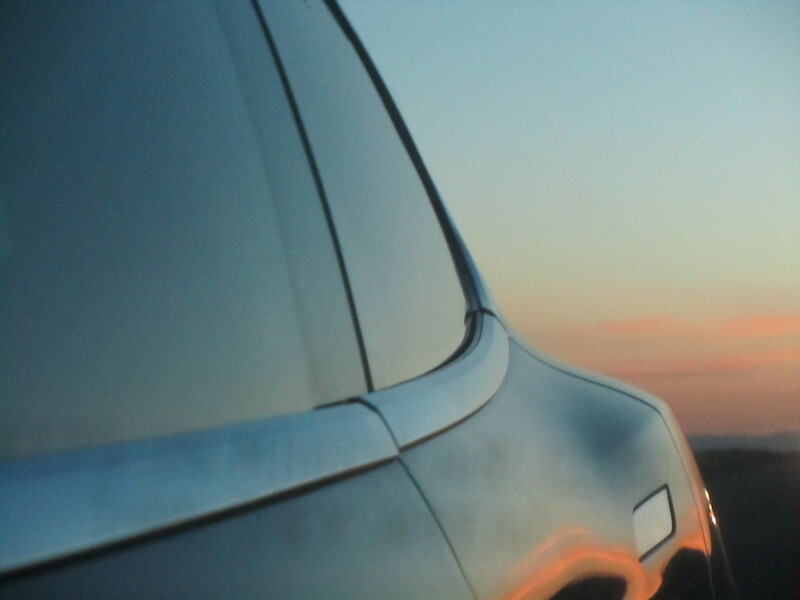 Time and time again, the Tesla “Secret Plan” has been brought up to show the plan and method that to bring about Tesla’s goal to electrify transport and lead the industry to move off fossil fuels. This goal is integral to their DNA and though they had done this first by building the Roadster, followed by the S and X, the 3 is the goal. 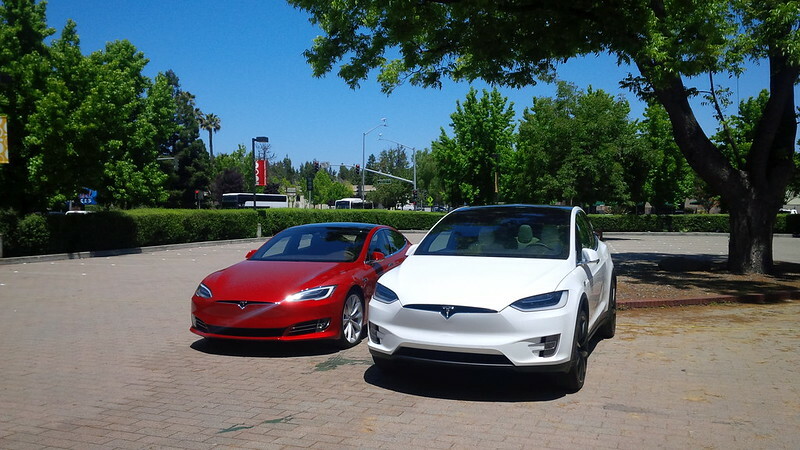 Providing a mass-market, affordable electric vehicle (EV) that surpasses its internal combustion engine (ICE) counterparts is what they want to achieve. The history lesson provided that directly in their talk and actions. The significance of providing the Tesla patents for use by their competitors speaks of how much they believe in that mission. It’s been almost two years since the publication of that policy and the fact that none of their competitors have taken them up on any of it is not Tesla’s fault, it’s on their competitors. The third theory has to do with what has happened a few weeks earlier, in the midst of the departure of a couple of key production executives (article on Bloomberg and Fortune (though a little over a week later, Tesla hired an experienced Audi executive (Peter Hochholdinger) to lead the production efforts,) Elon announced the movement of the production targets from 500,000 units from 2020 to 2018. This move shocked the public and reverberated throughout many of the discussions on Tesla stock since. There was a lot of skepticism held by many (including this author prior to the history lesson on May 31st) that this change to the target of 500,000 units from the 2020 deadline to the 2018 deadline is an improbable, if not an impossible one. 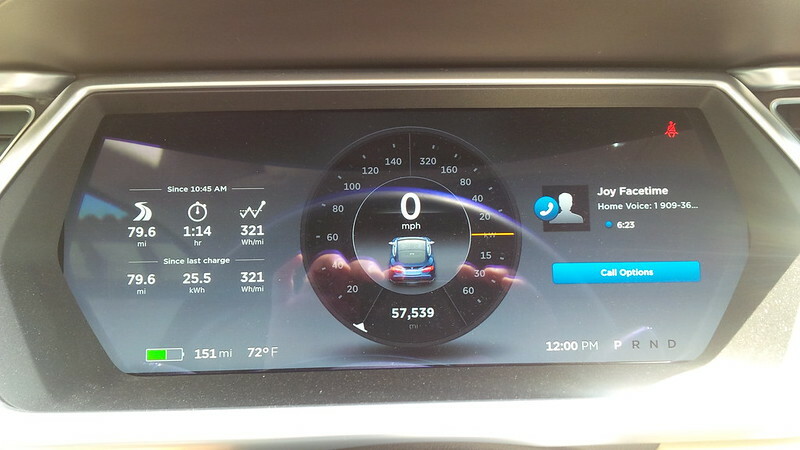 There were many automotive analysts and other smart people in the automotive industry that let the public know that this was simply impossible. I bring this up because, I believe that one of Elon’s points in describing Tesla’s history is to show the many times that the company faced seemingly insurmountable challenges and what they did to overcome such challenges. Throughout the approximately three hours of the discussion, Elon and JB discussed the times when Tesla faced challenges that were more dire for Tesla and how they prevailed. They also discussed times that Tesla’s momentum of growth, (as I see it, the percentage year over year of vehicle production) has been greater than the 500% required to grow production from 100,000 vehicles to 500,000 vehicles. For example the differences between 2012 and 2013 production is a factor over 5x the previous year’s production (4,846 vehicles in 2012 and 27,644 vehicles in 2013). 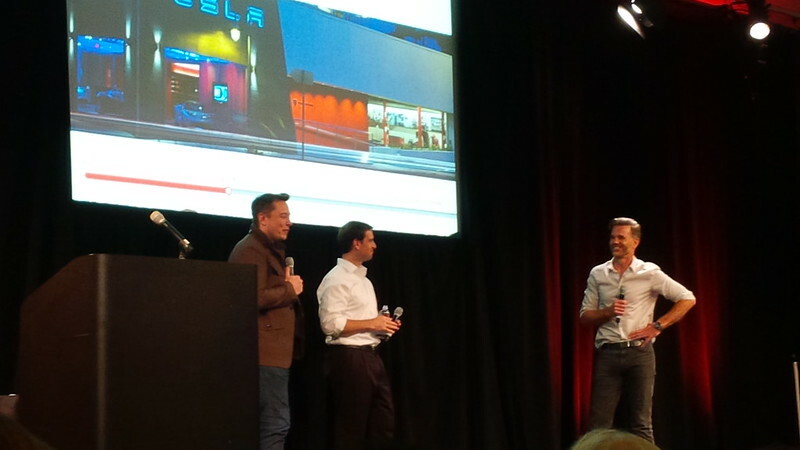 Furthermore, throughout the presentation, Elon and JB introduce us to several members of Tesla that have been with them “since the beginning” and show the creativity that these personnel exhibited to show how they solved problems that occurred in the past. 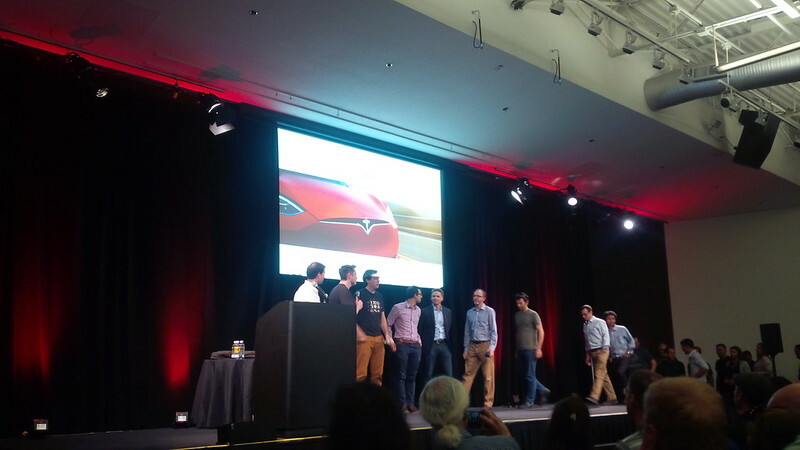 They showed that a lot of these folks have been with Tesla over a decade and that these are the same people that spent their time focusing on enhancing and fixing issues that were in the product. Throughout the history lesson, Elon and JB showed that Tesla’s talented technical folks solved seemingly insurmountable problems by focusing and coming up with creative solutions. In discussing “physics-first principles” and using the term “building the machines that build the machine”, Elon is telling us that he and his talented team will focus on fine-tuning the factories (both the Tesla Fremont Factory and the Gigafactory.) In discussing the future he wanted us to think of the factory as a product. He mentions his belief that “the potential for improvement in the machine that makes the machine is a factor of ten greater than the potential on the car side. Maybe more than a factor of ten…” Later on, Elon discussed the exit velocity of production at the “advanced car factories in the world” to be close to making a car at every 25 seconds, but that means that 0.2 meters per second, and that this not much faster than a tortoise, and he is looking to get Tesla’s “machines that build the machine” have an exit velocity equal to walking speed or a meter a second of production. Considering that the “advanced car factories” build more ICE cars that are inherently more complex than the electric cars that Tesla builds it is not inconceivable to see that there are production gains and performance gains to be made by fine-tuning the factory. In addition JB mentions that by shifting design resources that have been focused on improving the car to focus on improving the factory they are finding tens to hundreds of a percent of efficiency gain that are both phenomenal and close at hand. Needless to say, we were duly impressed with the extended length Annual Meeting last week. I think that Tesla did a great job of communicating the three points that I thought was the goals for this meeting. 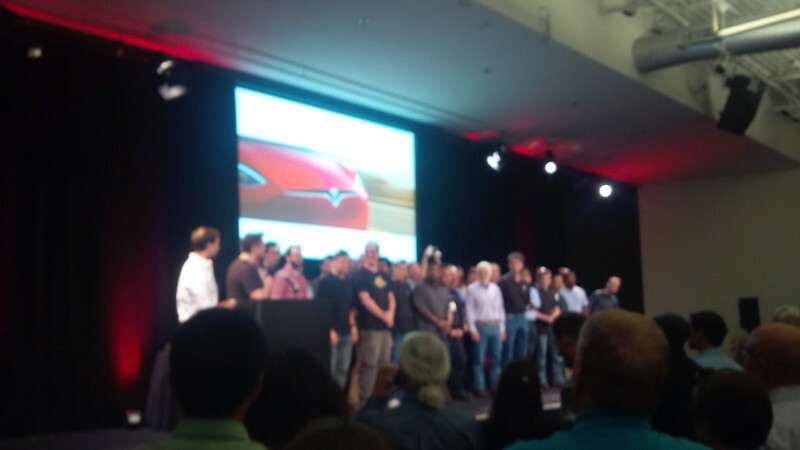 I truly hope that Tesla’s talented employees are able to improve on the factory (i.e. the machine that builds the machines) to the factor that Elon and JB had communicated. 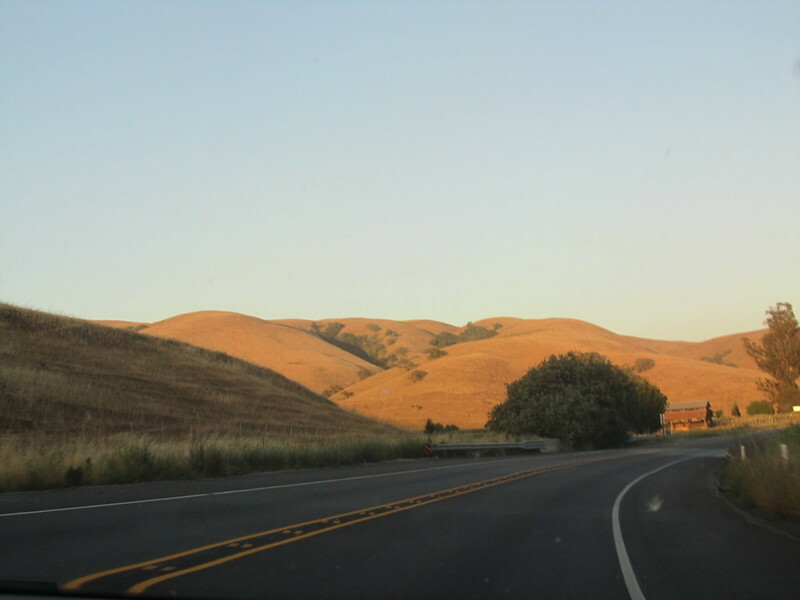 As for the drive to Mountain View and back for this trip, I have published Day One of the drive here. I published Day Two of the drive here. A day after publishing my post, Tesla stock soared $11.66 (5.28%) during the trading day. Some would say perhaps it was my comments that drove it up, alas, it wasn’t my article. Ron Baron of Baron Capital was extremely bullish about the company, and echoed comments similar to theory #3 of my post.